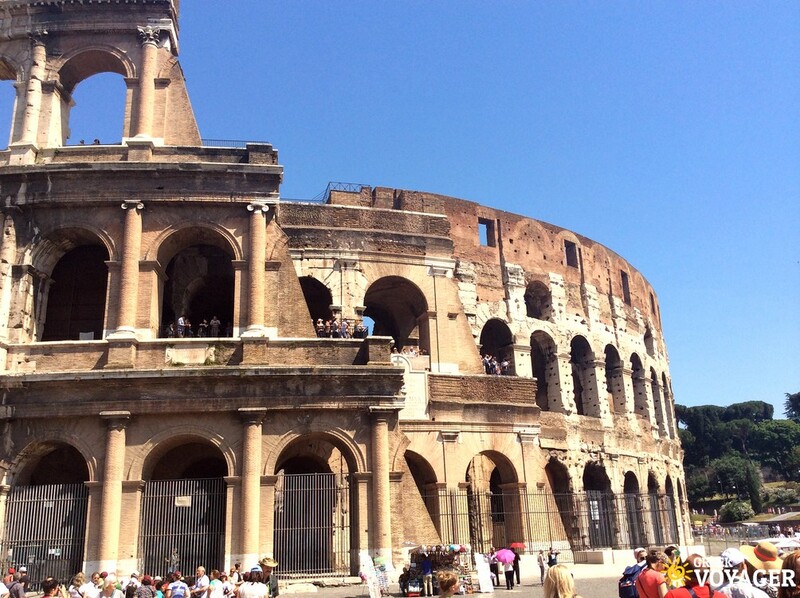 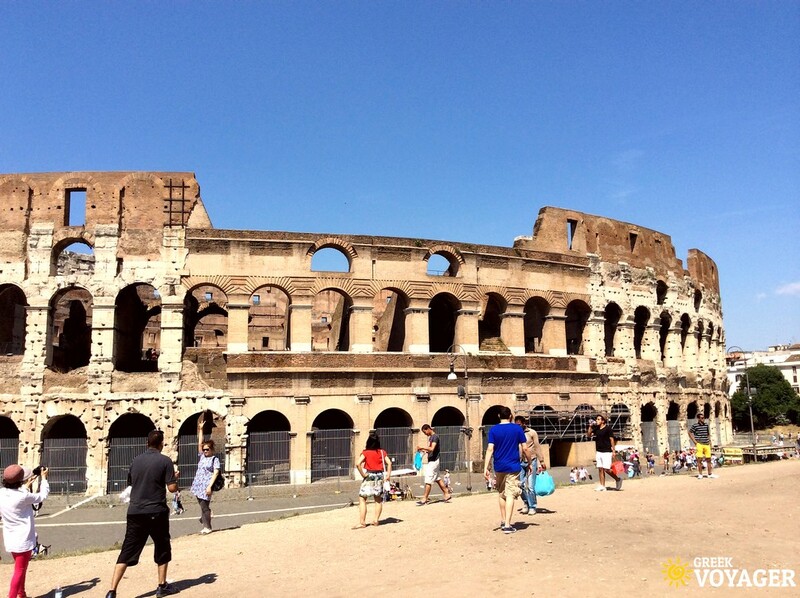 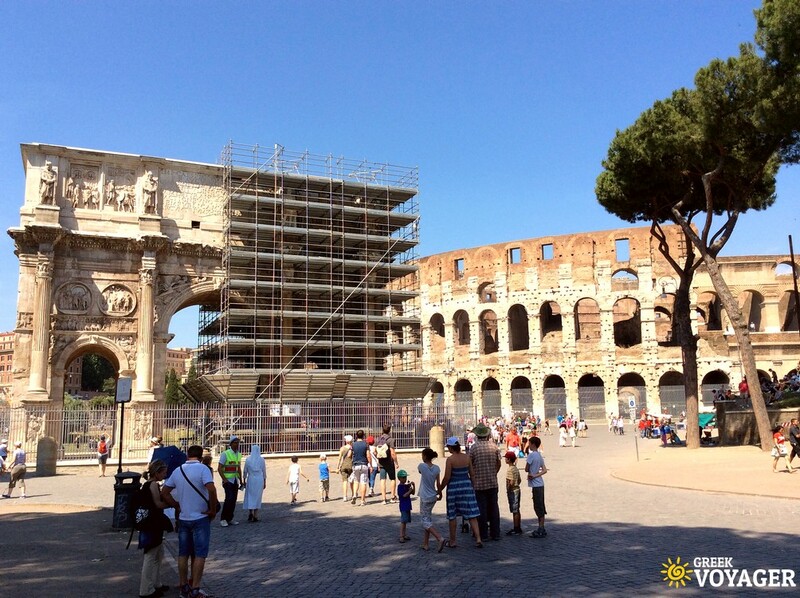 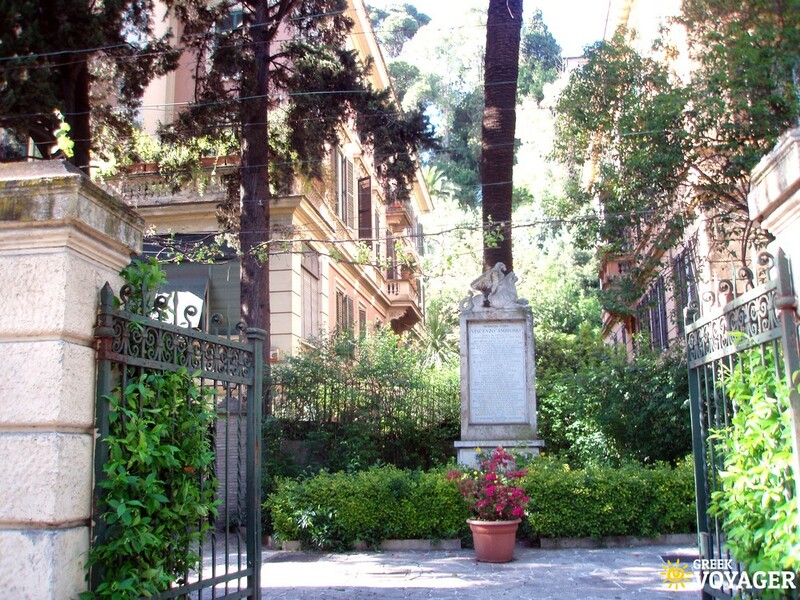 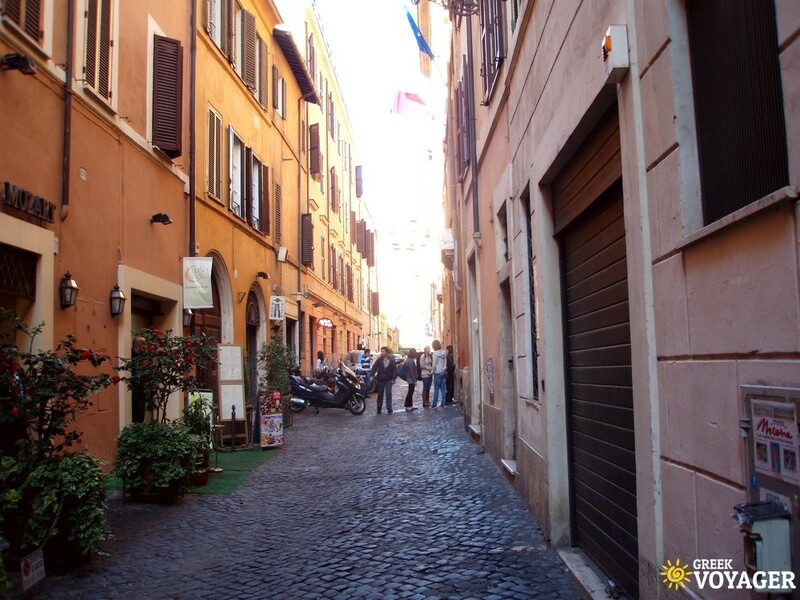 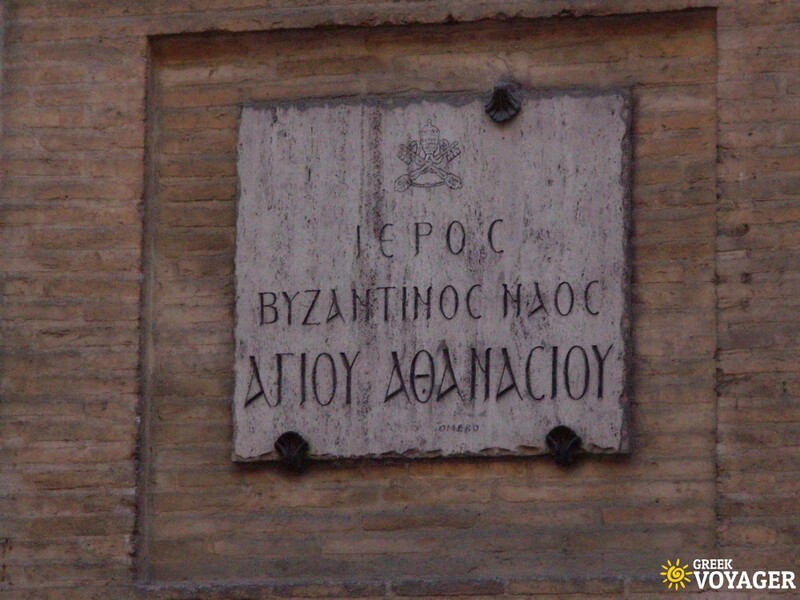 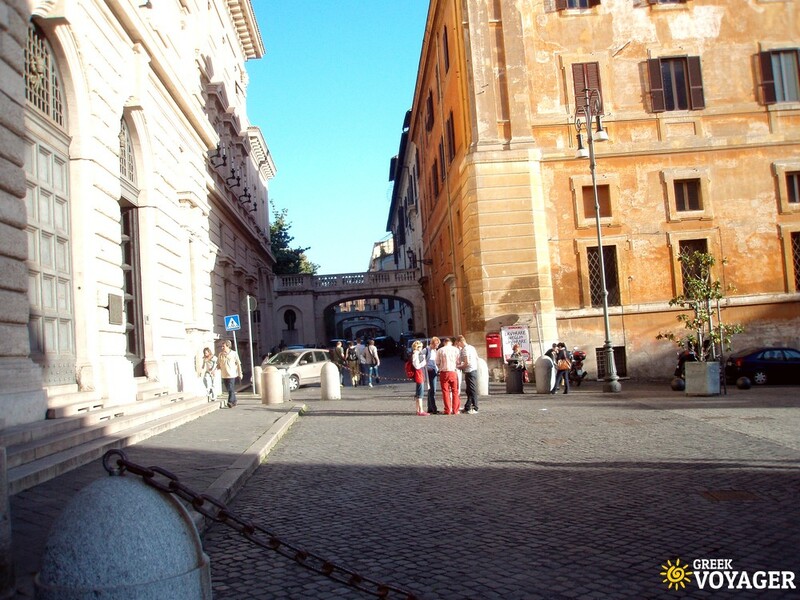 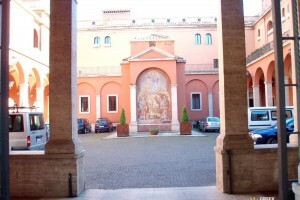 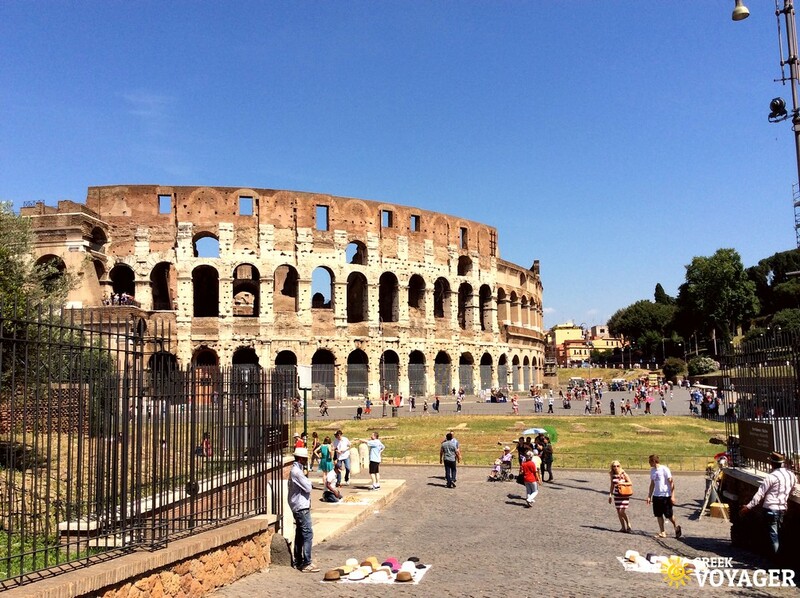 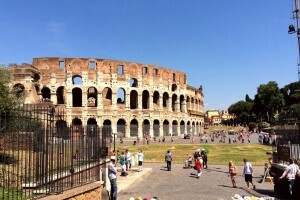 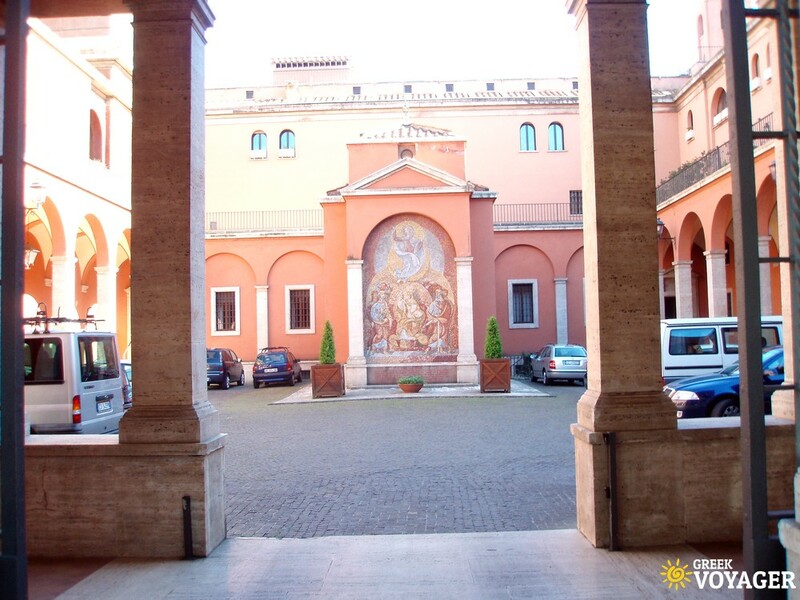 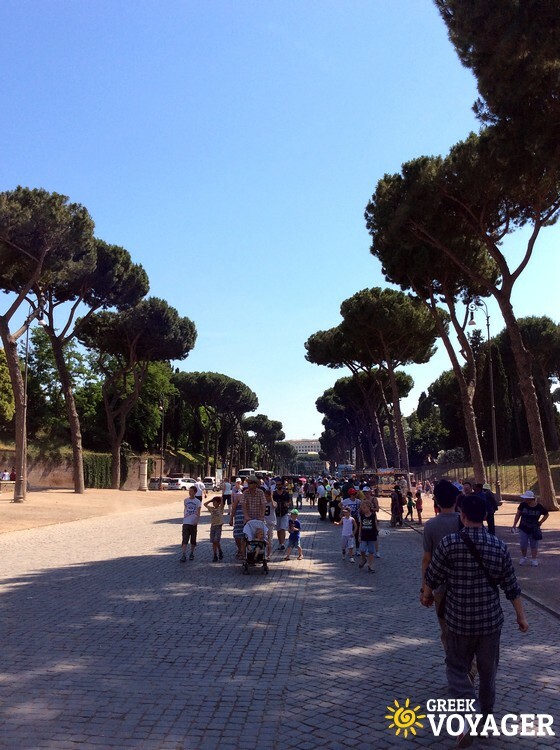 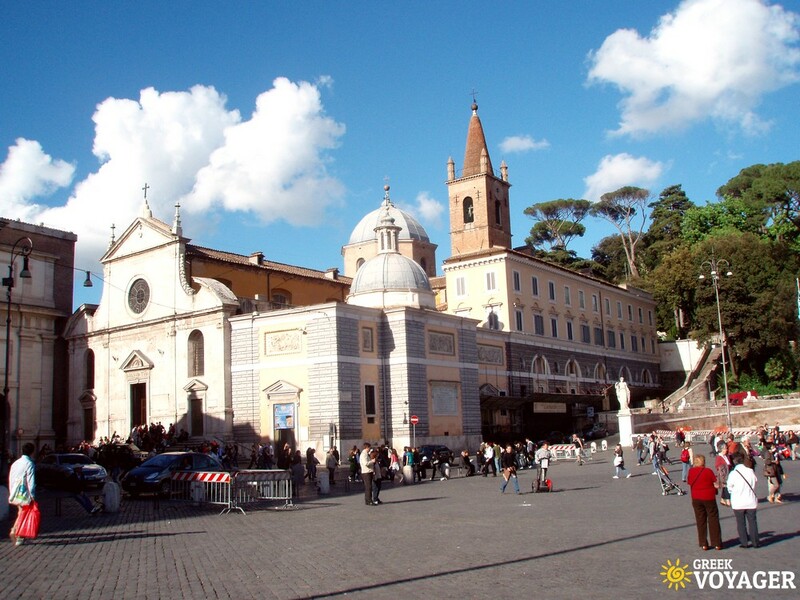 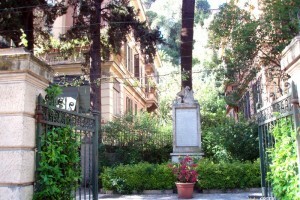 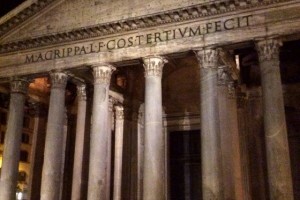 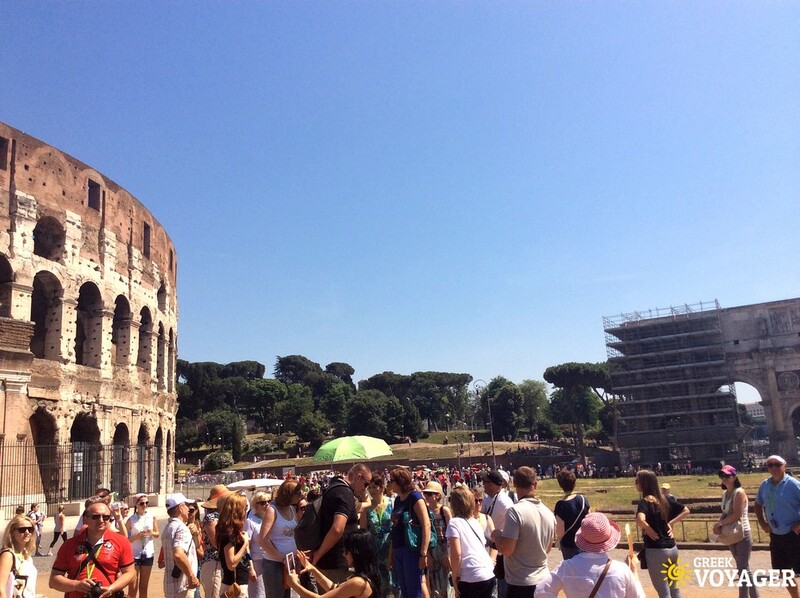 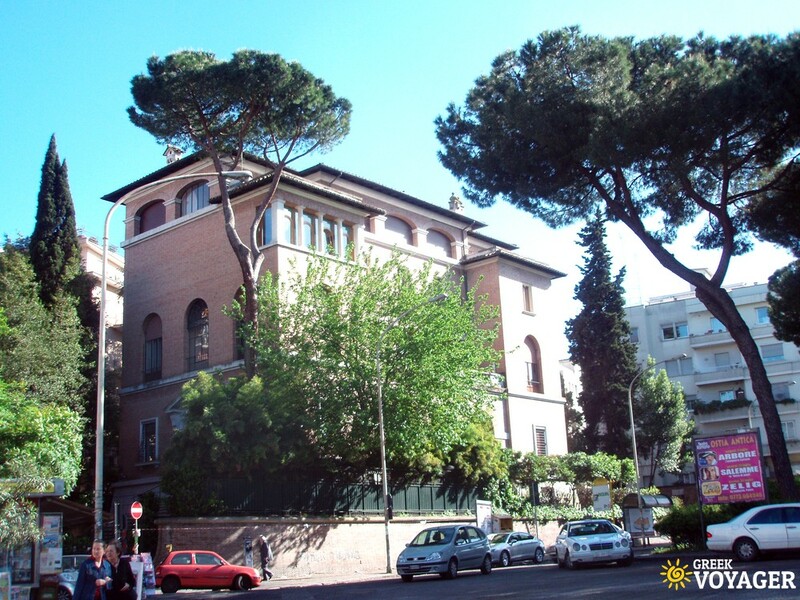 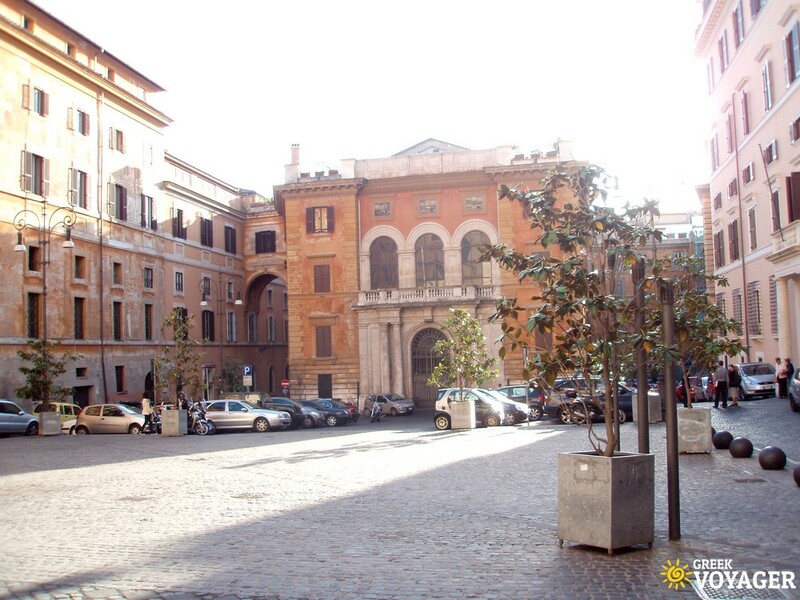 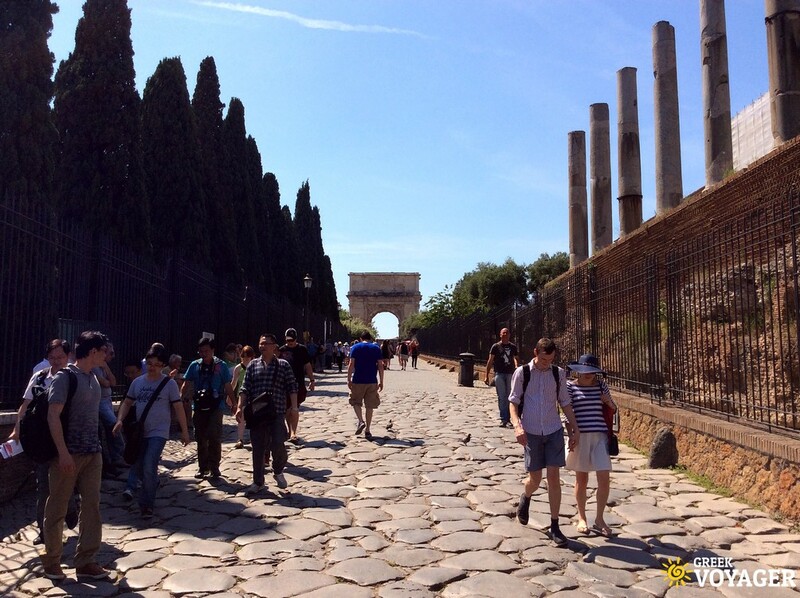 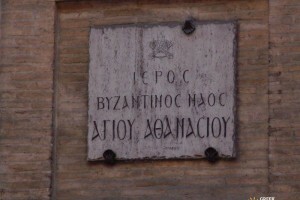 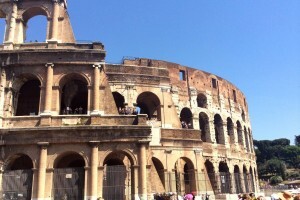 Rome is an open air museum where you can walk through the centuries! 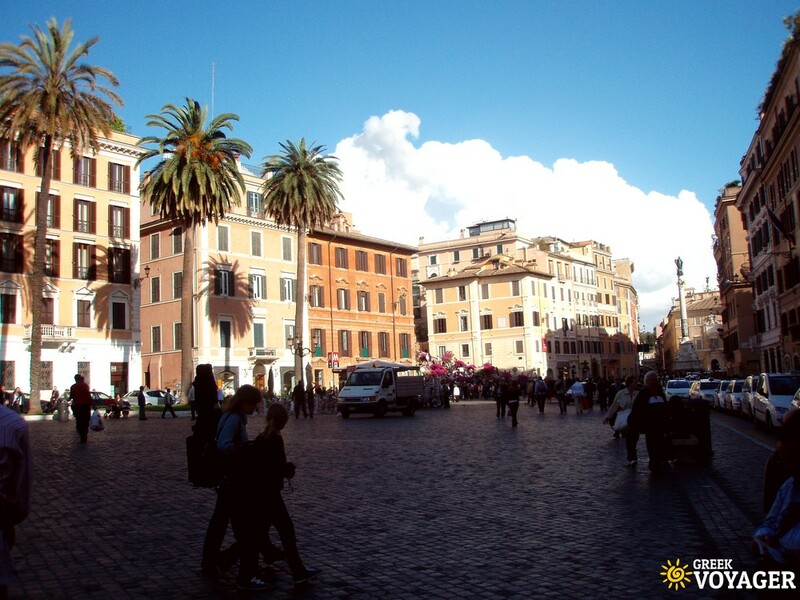 Visiting Rome in one day may not be enough but we can assure you it is sufficient to visit the most important sights of the city. 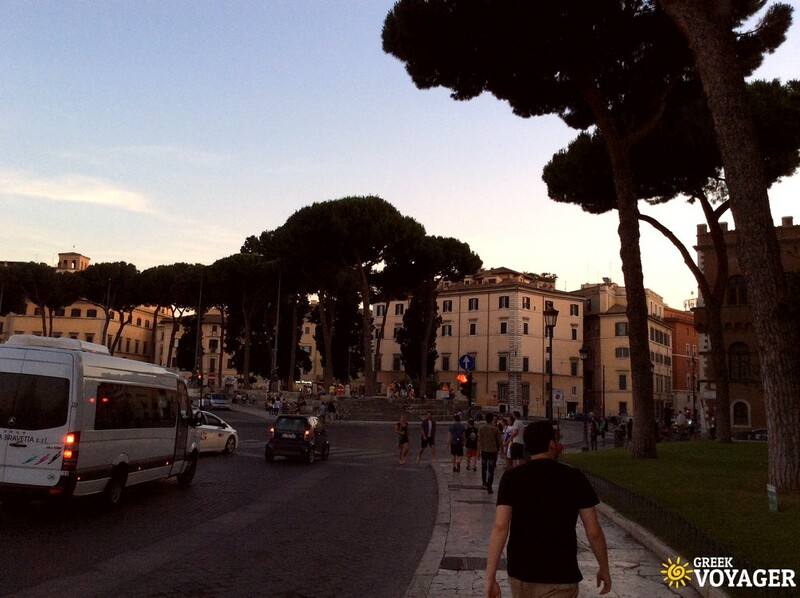 Just wear a pair of comfortable shoes. 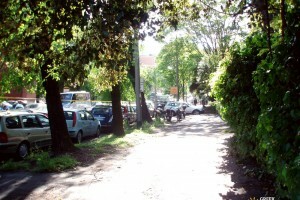 A long walk is ahead of you. 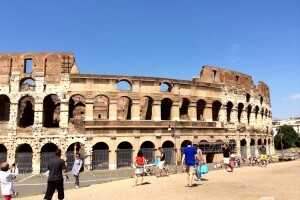 You can start from the Colosseum. 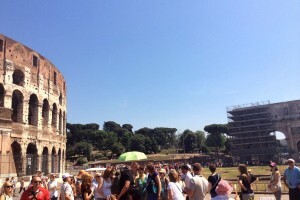 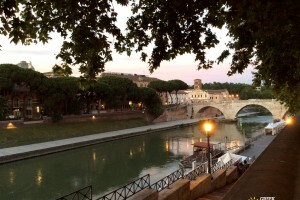 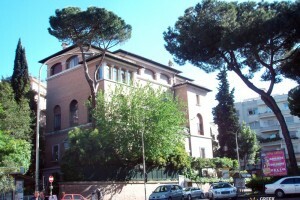 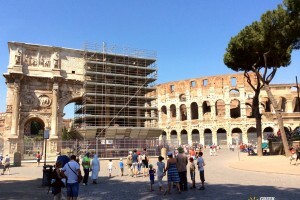 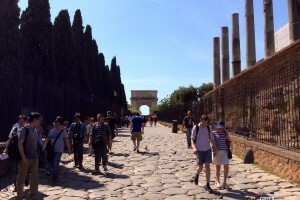 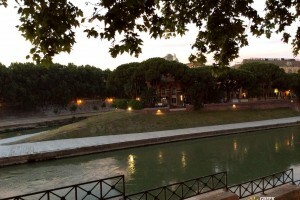 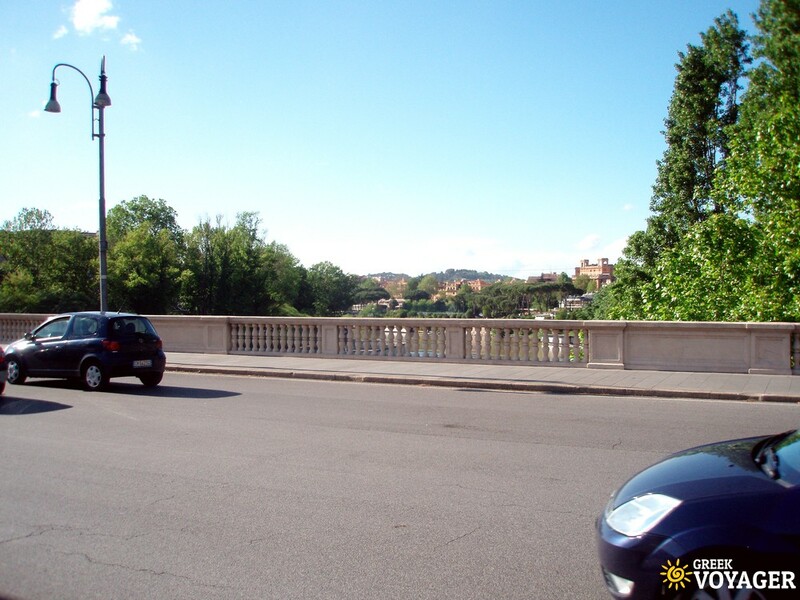 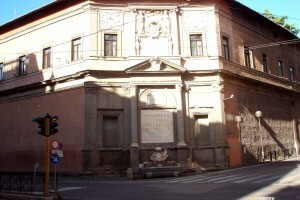 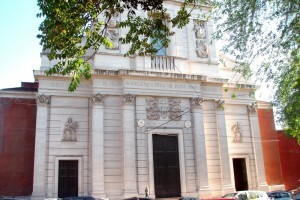 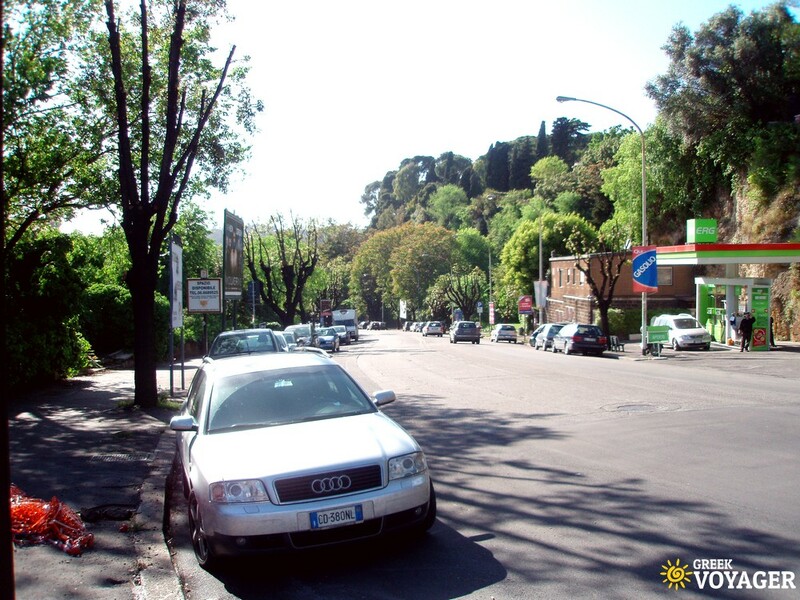 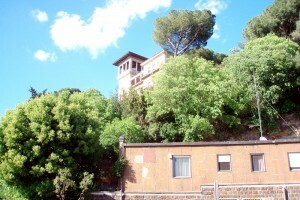 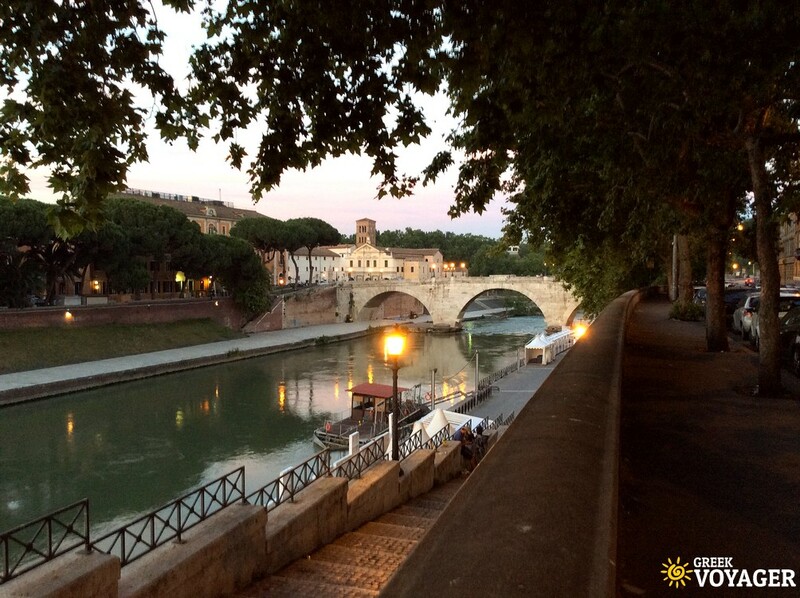 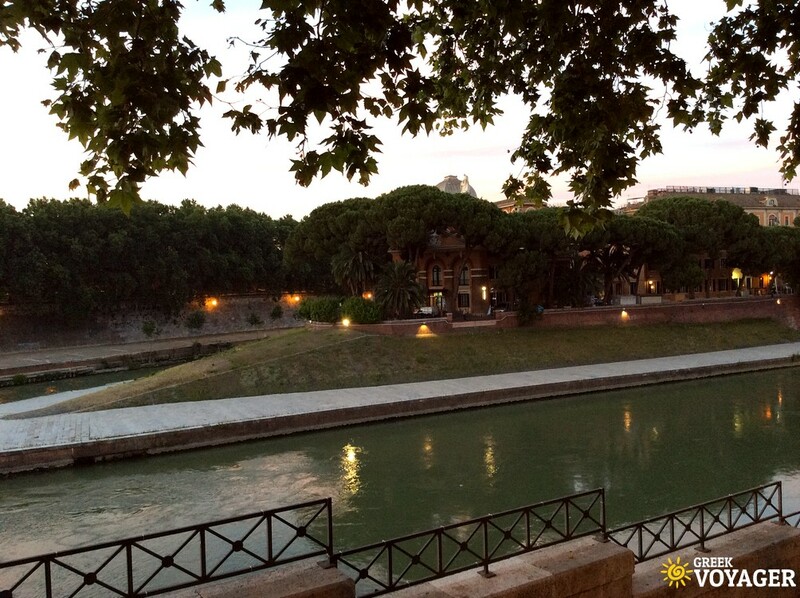 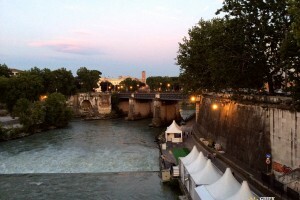 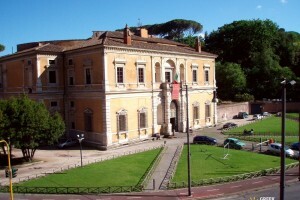 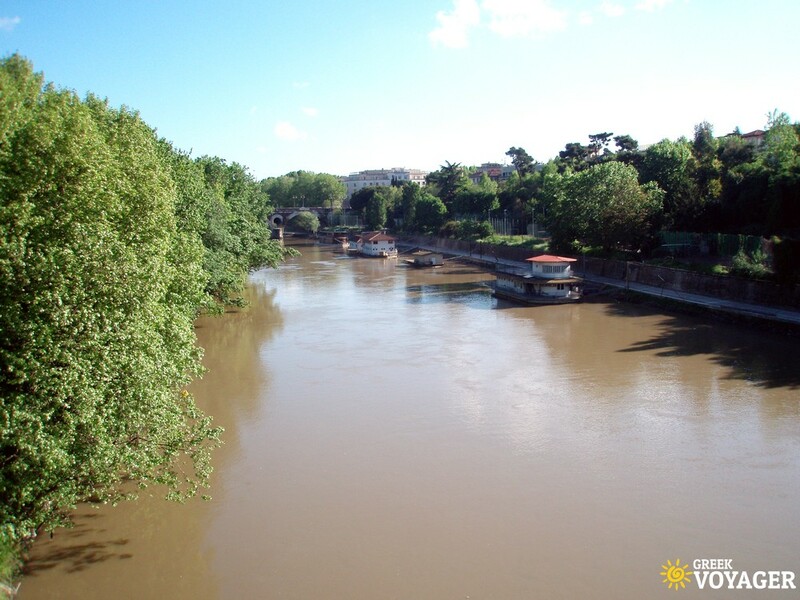 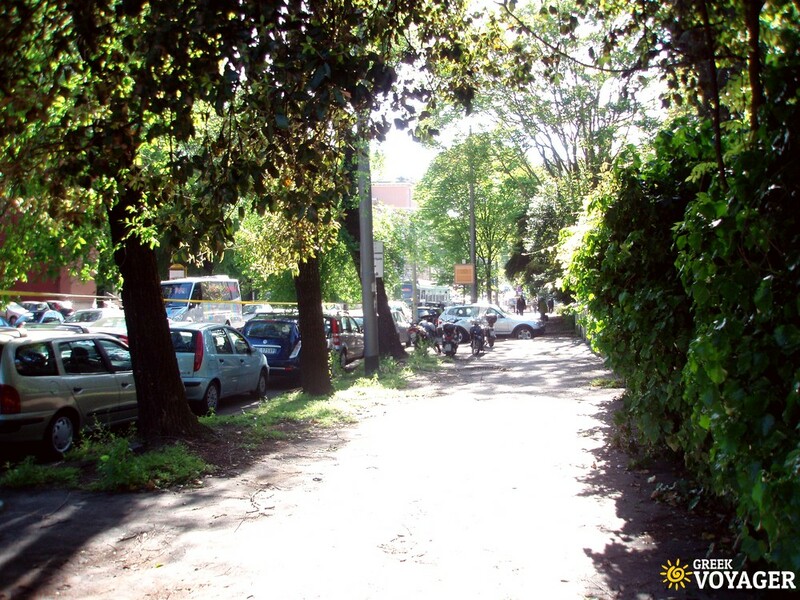 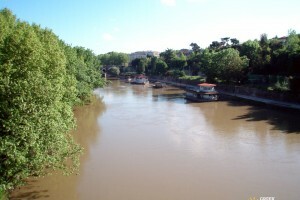 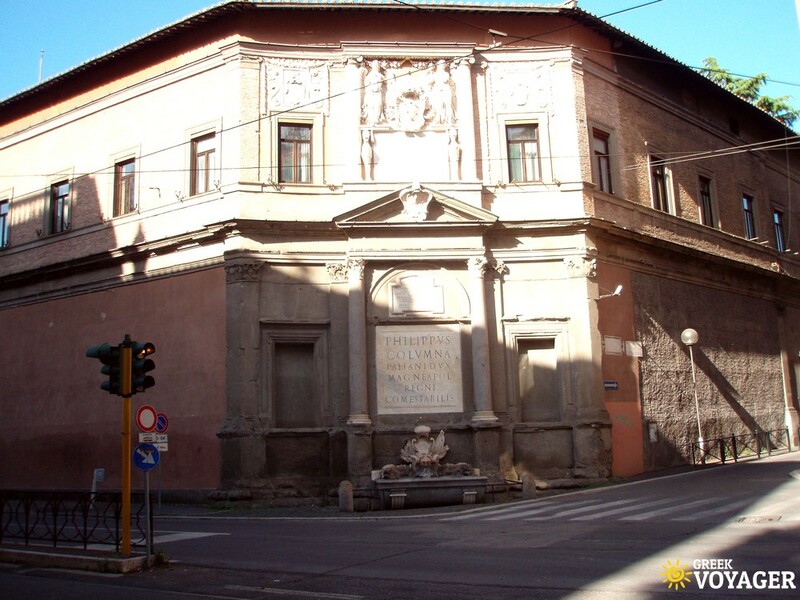 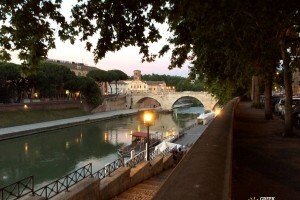 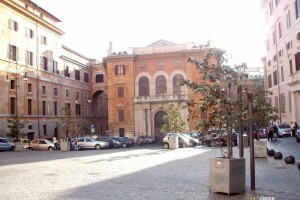 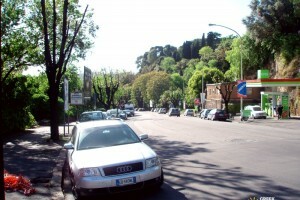 Walk through the near by ancient ruins, Circo Massimo and pass on the other side of river Tiber. 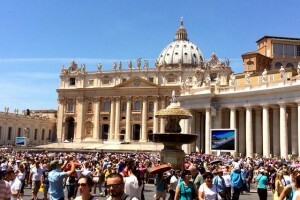 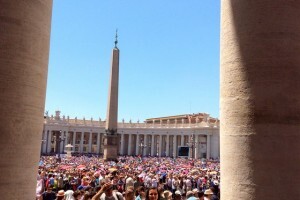 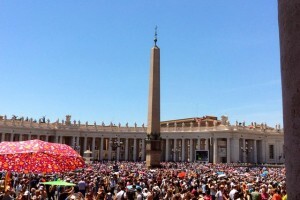 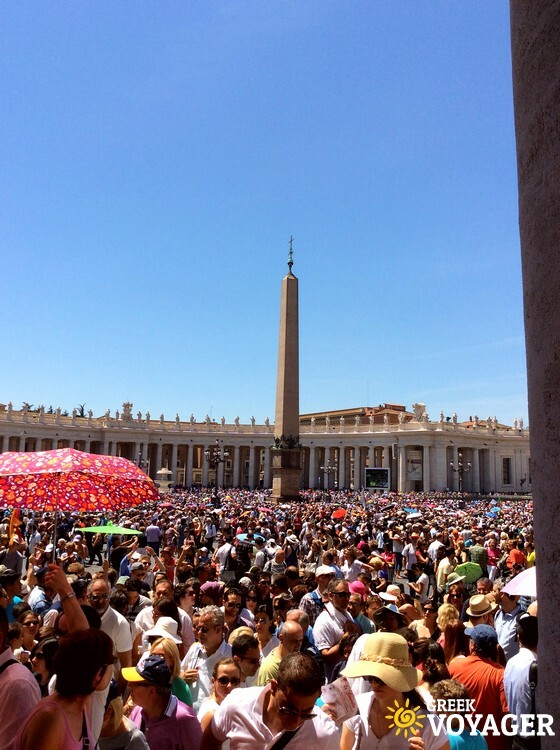 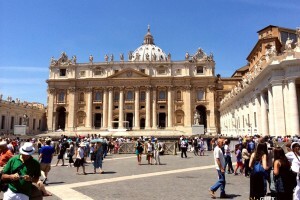 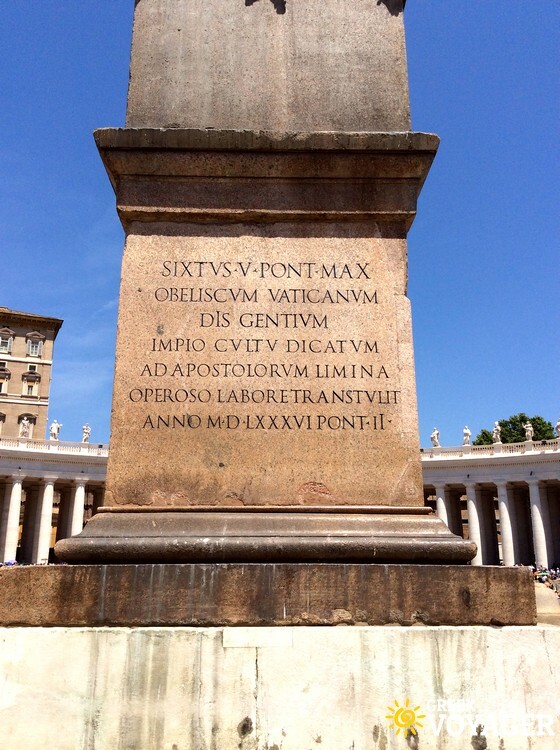 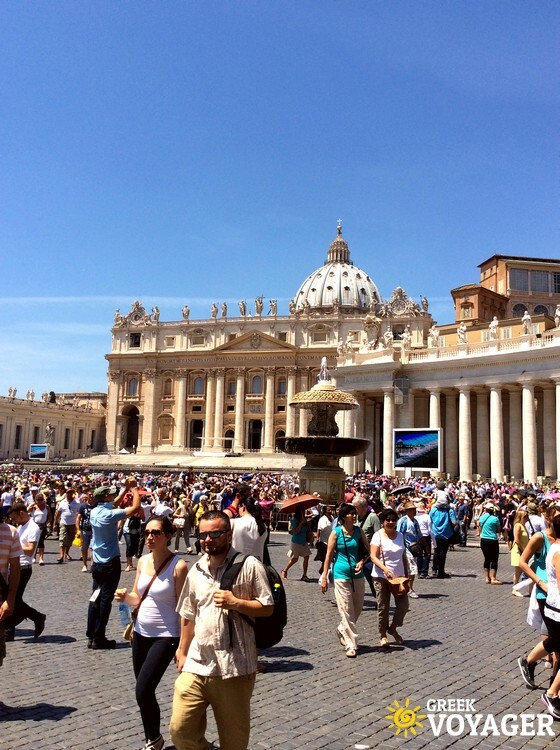 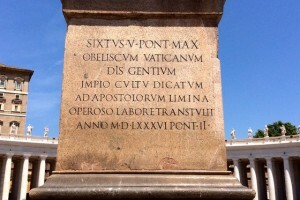 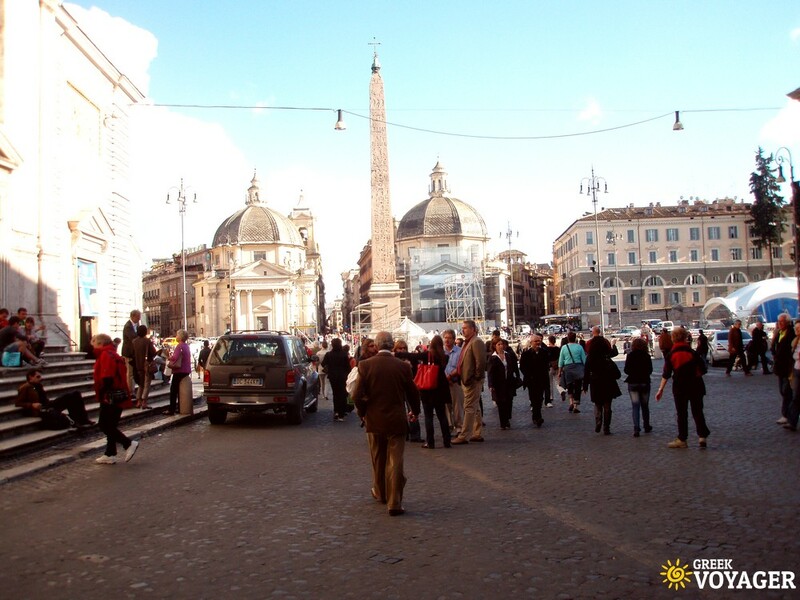 Walk the river side to the north and soon you will reach one of the most famous places on Earth, the St Peter Square. 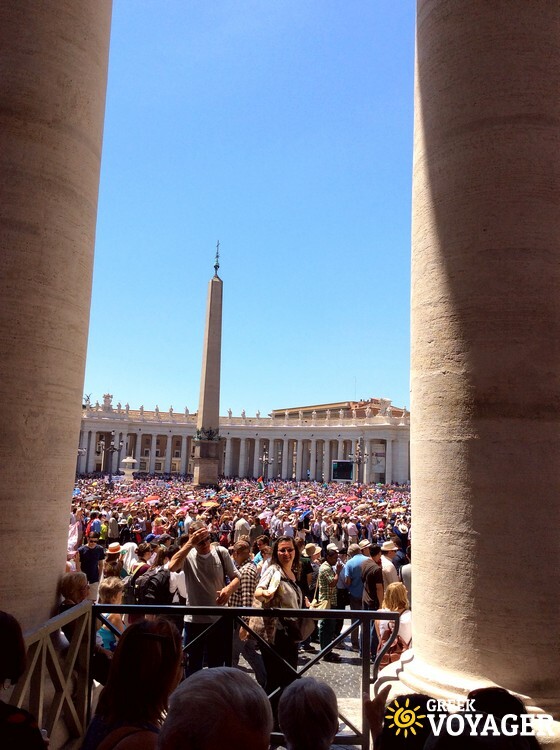 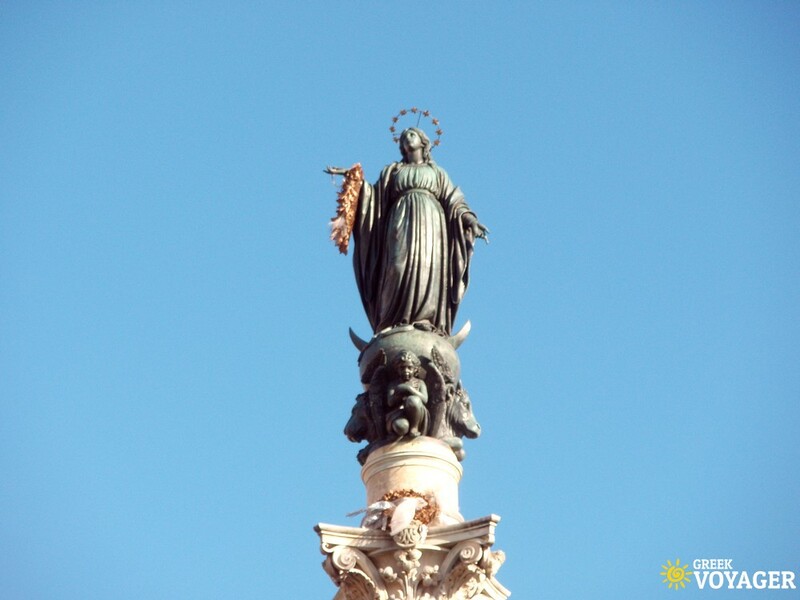 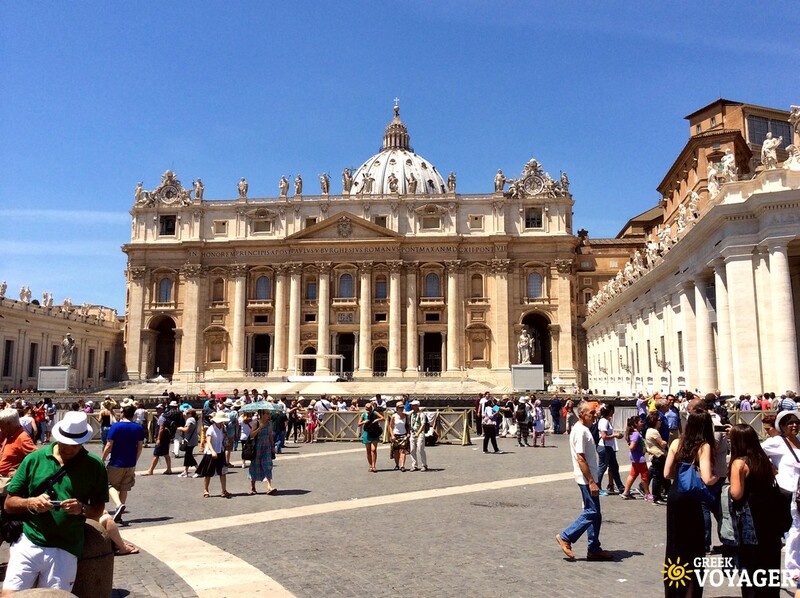 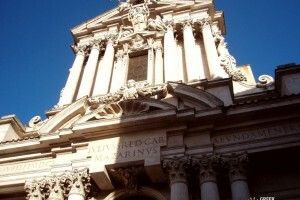 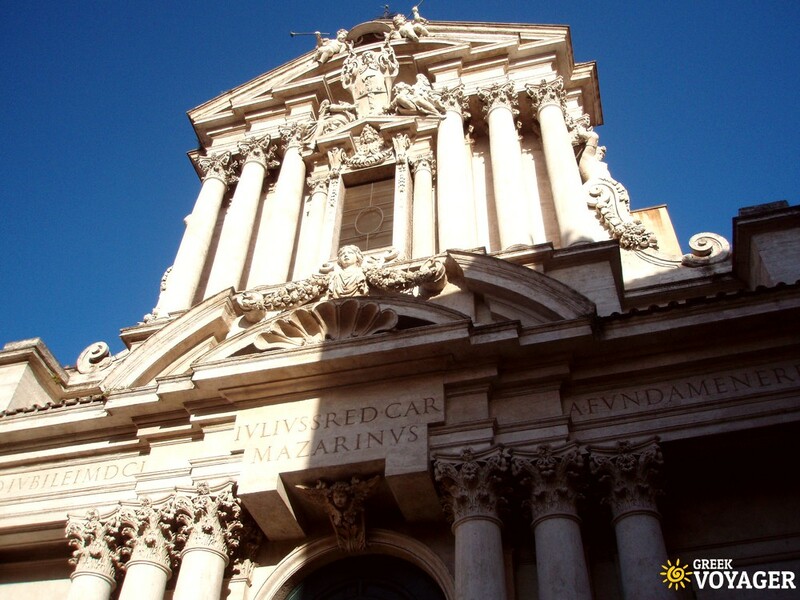 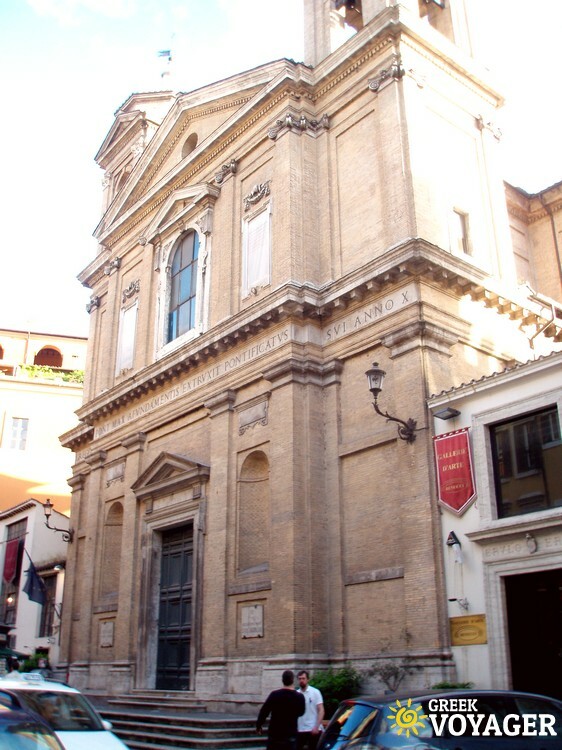 Enjoy the beauty of Basilica di San Pietro. 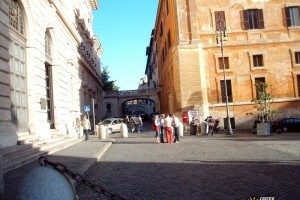 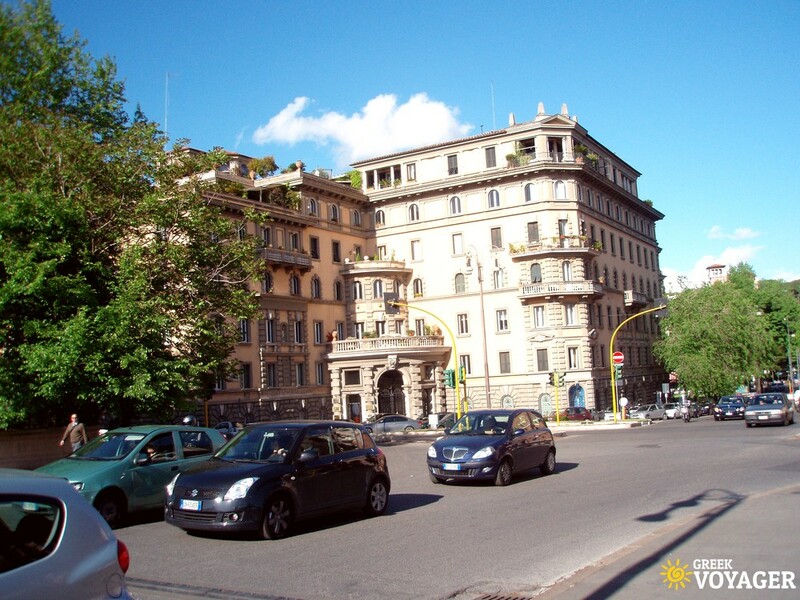 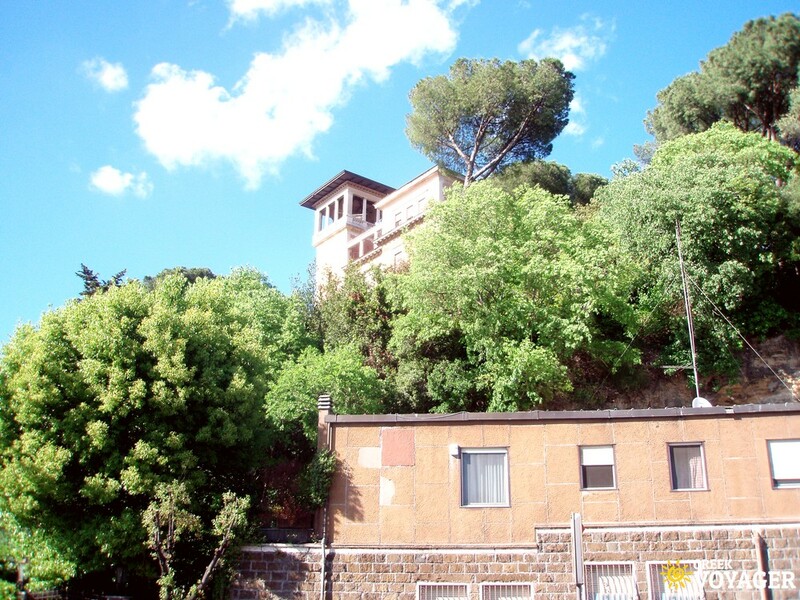 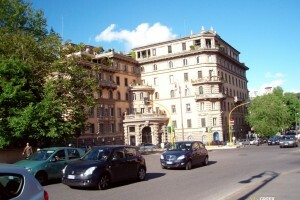 Take Via della Consilazione and you'll find the famous castle of St Angelo. 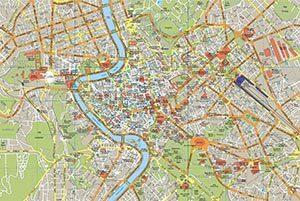 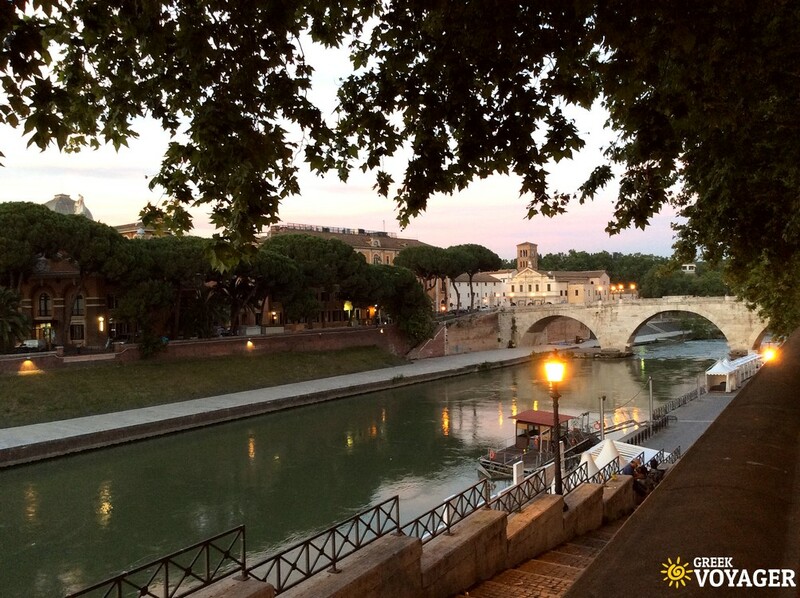 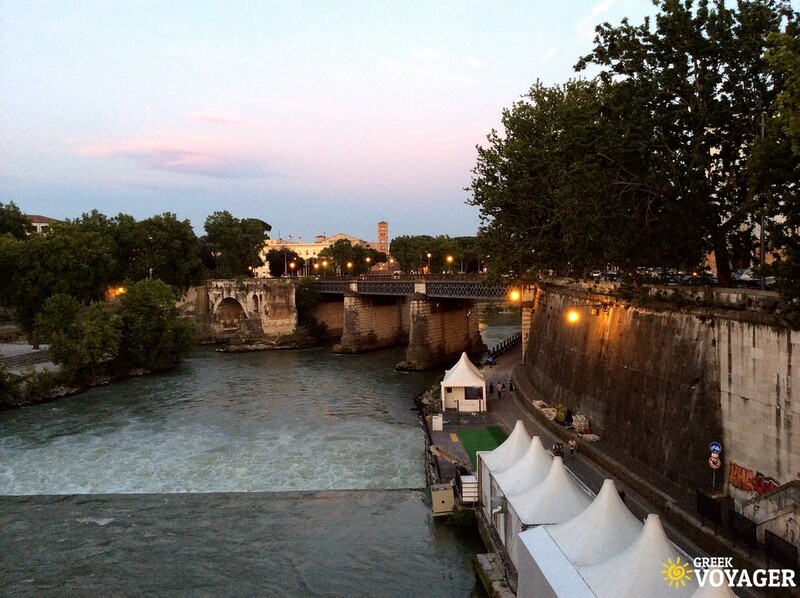 You can go around the castle from Piazza Andriana or straight back to Tiber river. 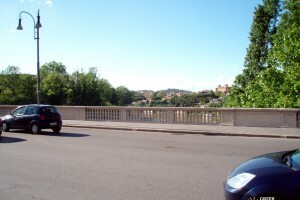 Choose a bridge to pass on the other side of the river and head north. 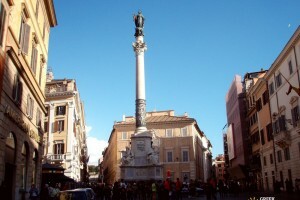 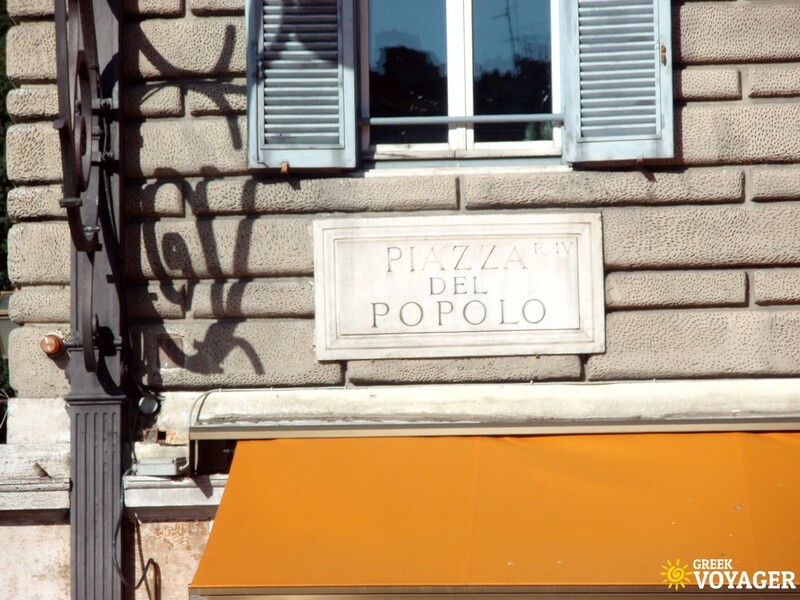 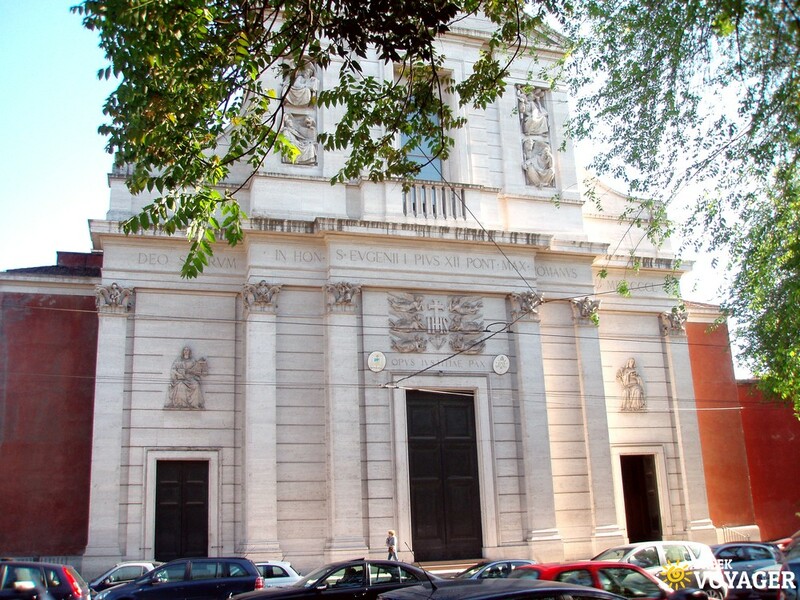 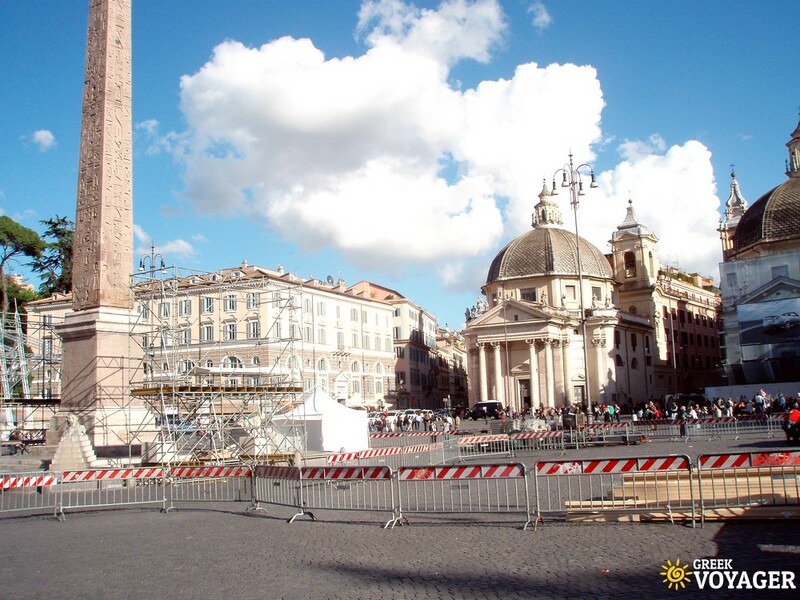 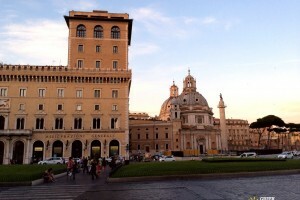 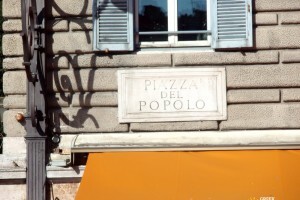 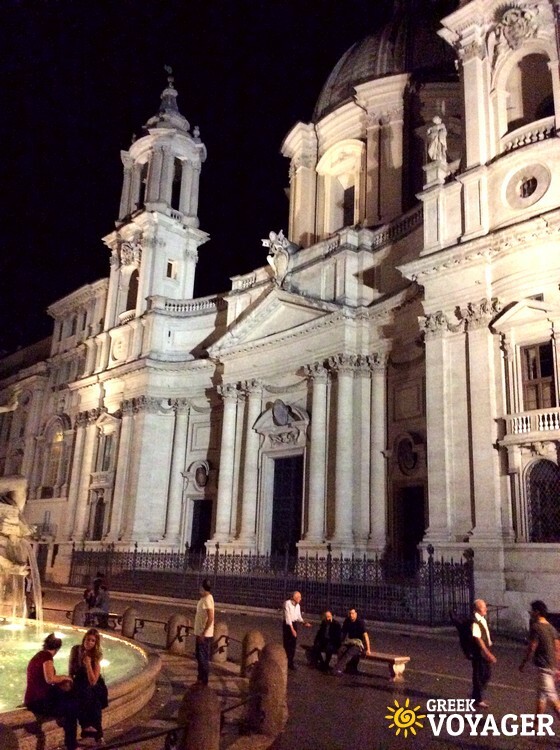 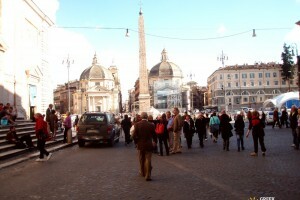 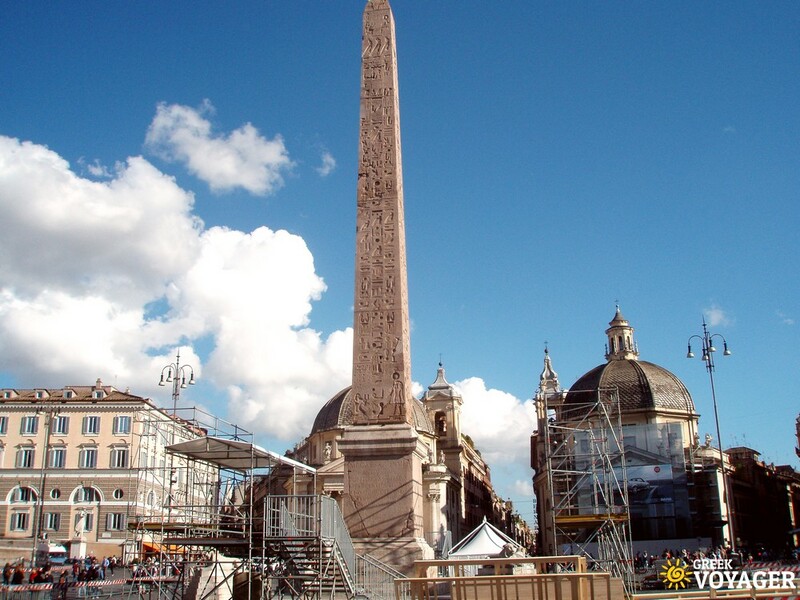 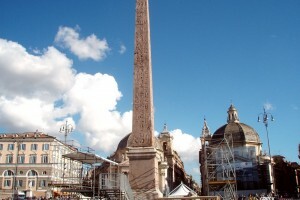 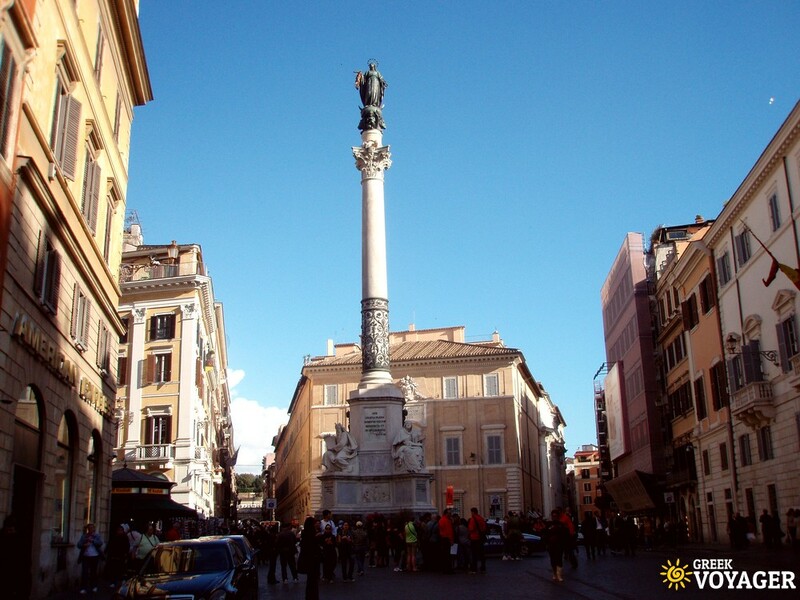 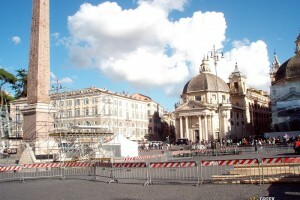 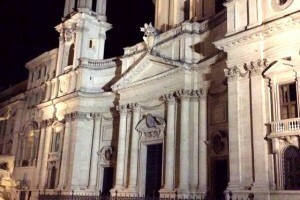 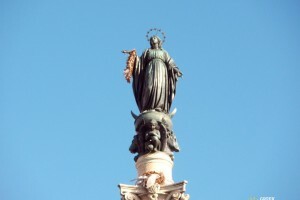 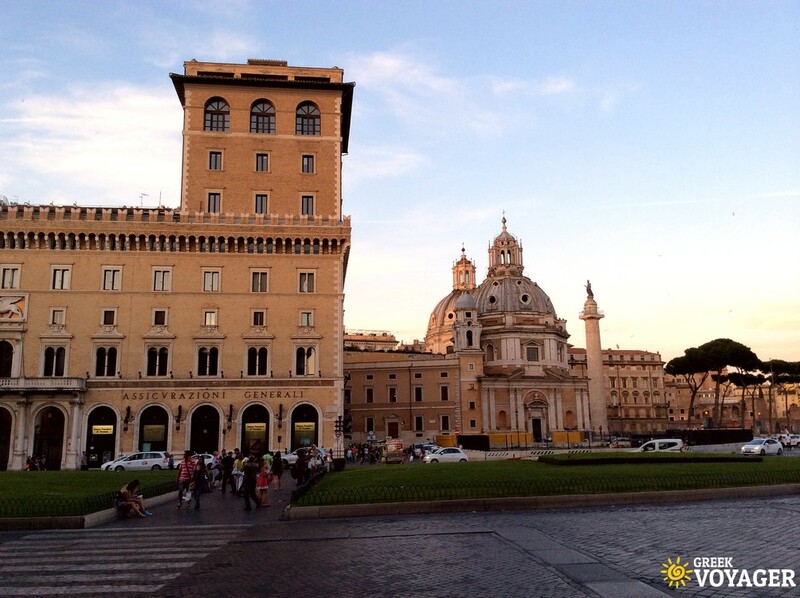 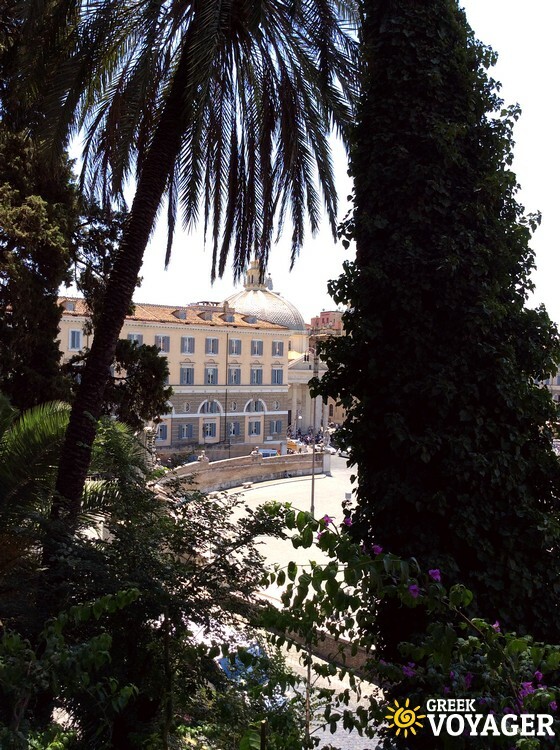 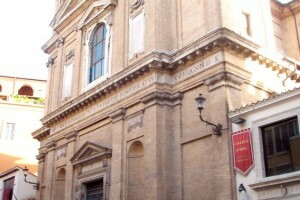 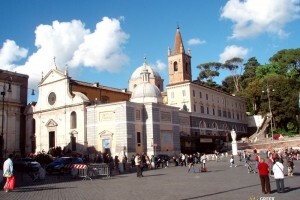 Soon you'll reach Piazza del Popolo on your right side. 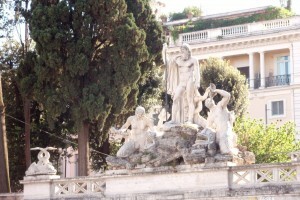 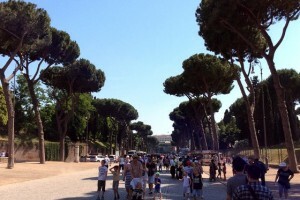 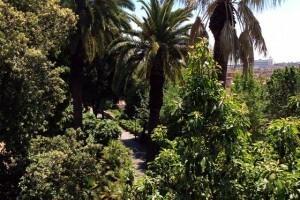 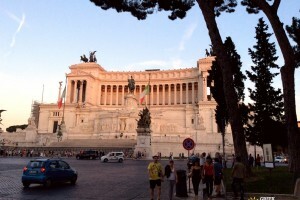 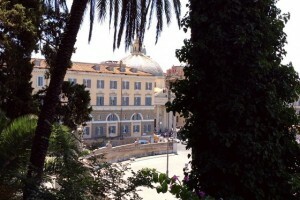 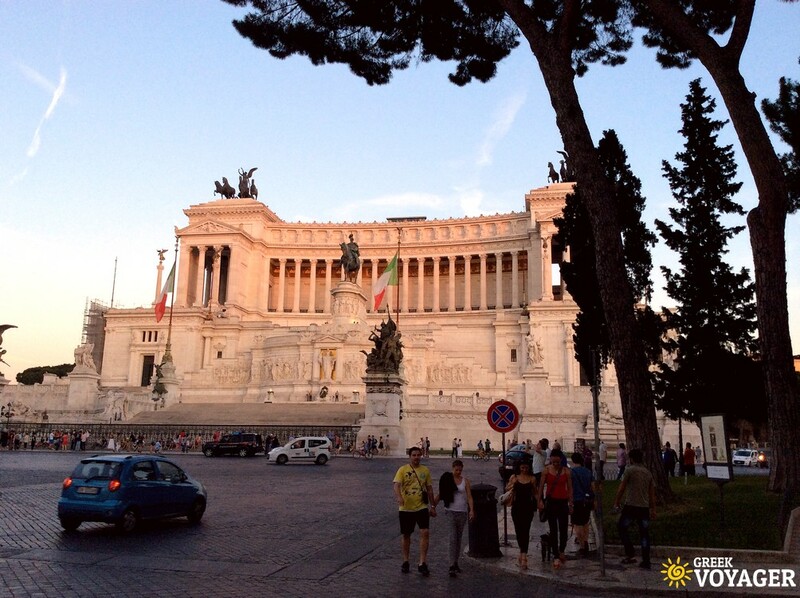 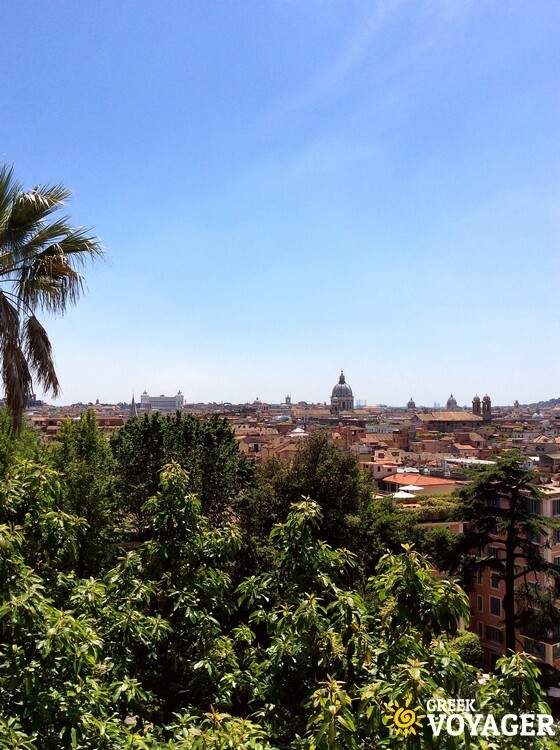 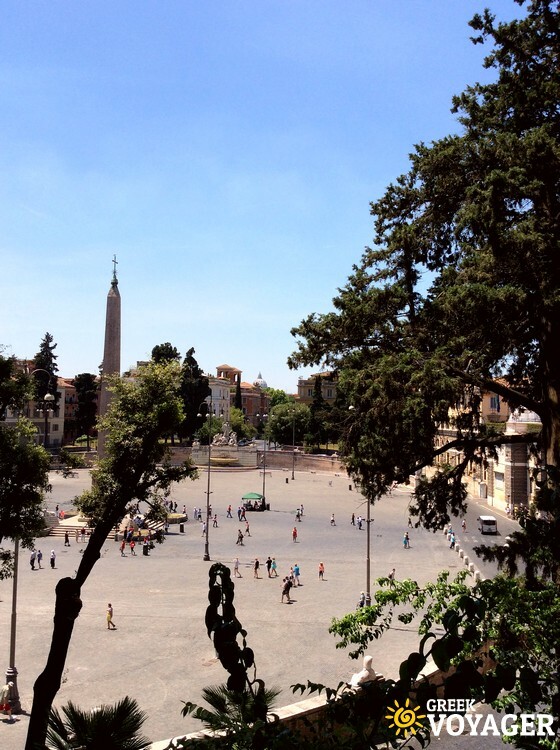 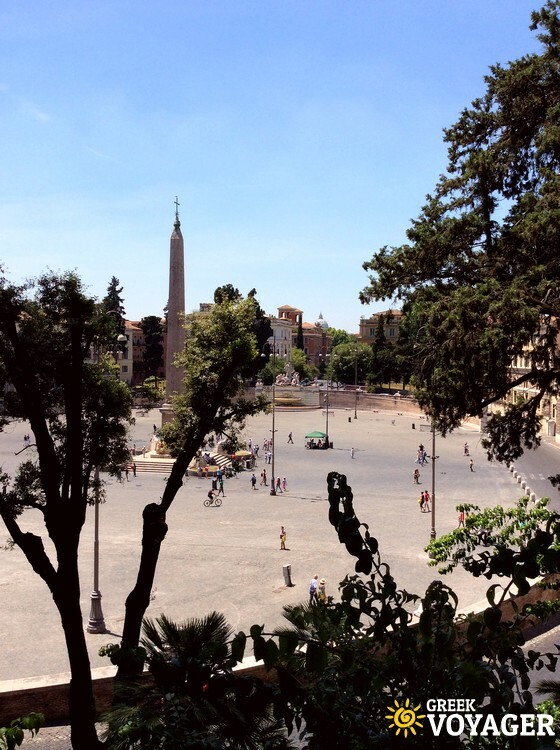 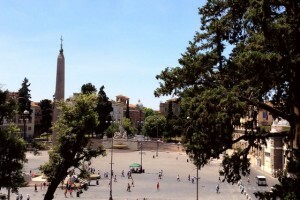 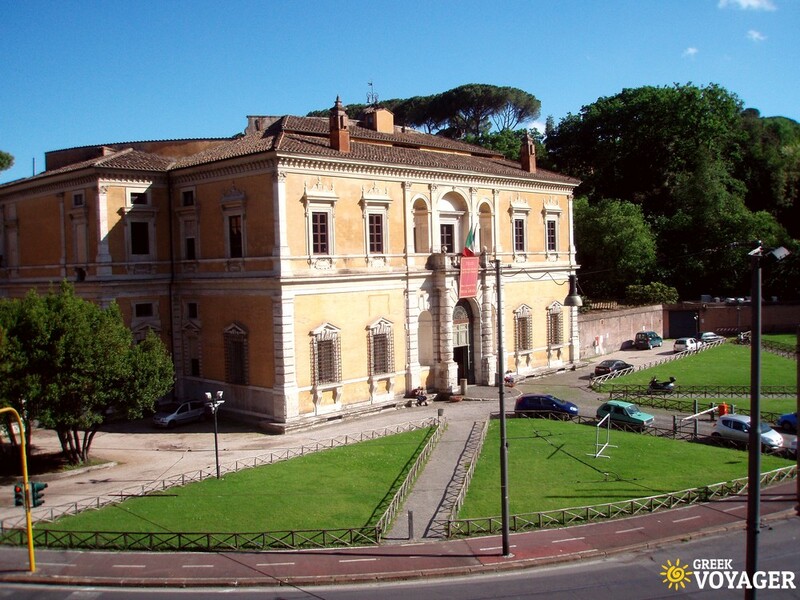 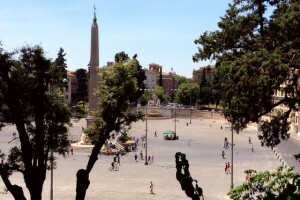 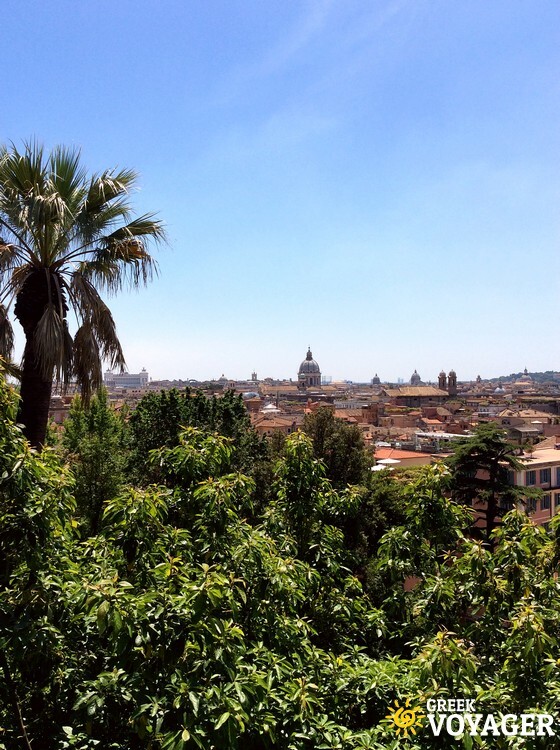 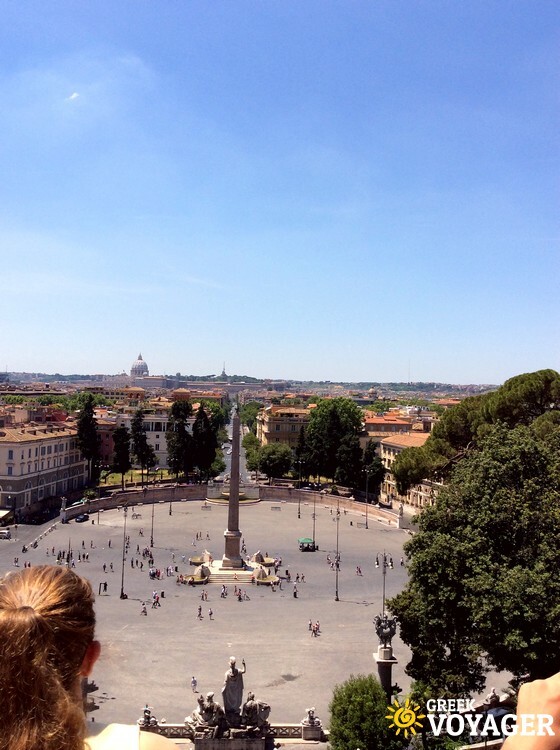 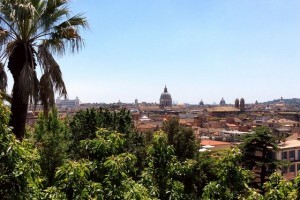 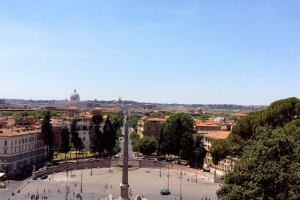 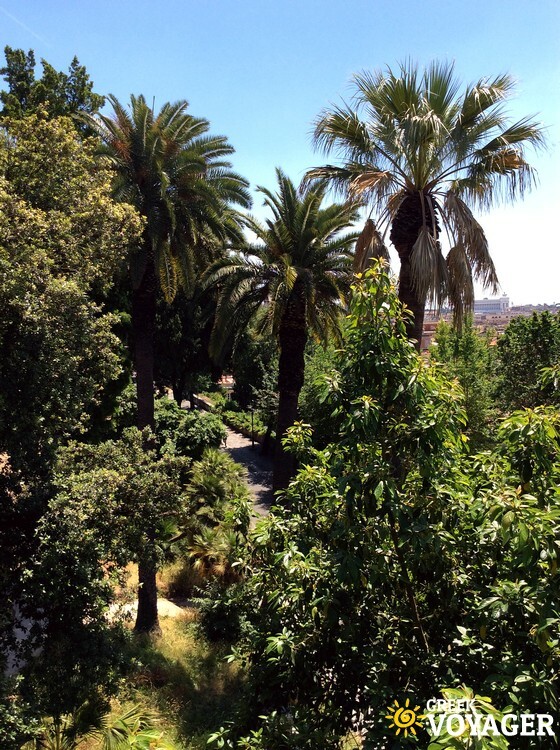 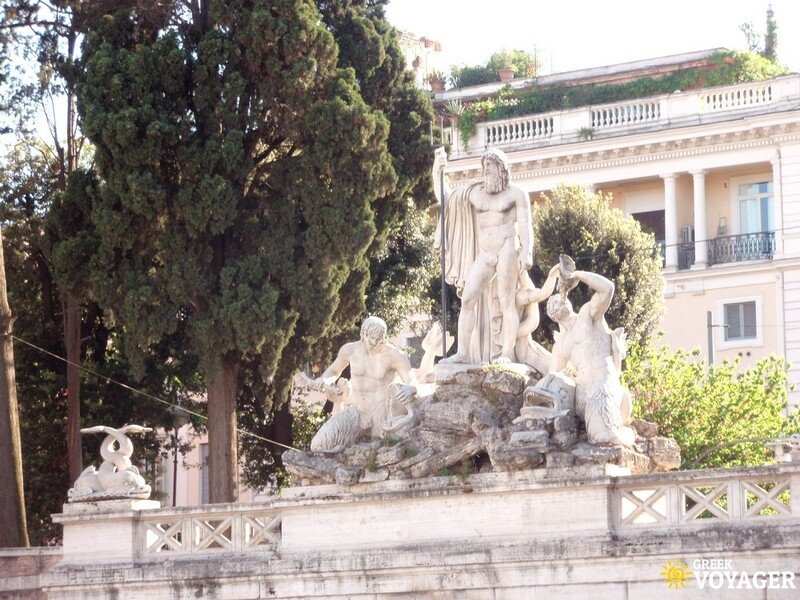 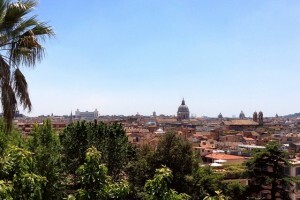 Walk across the square, visit Villa Borghese and enjoy a magnificent view of Rome. 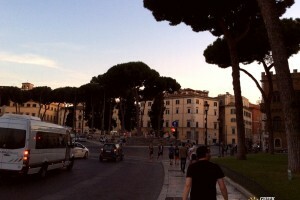 From there you can downhill to Piazza di Spagna. 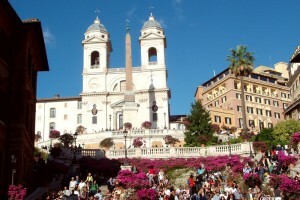 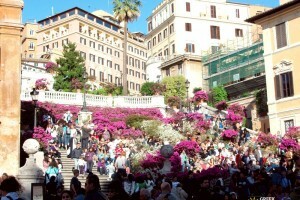 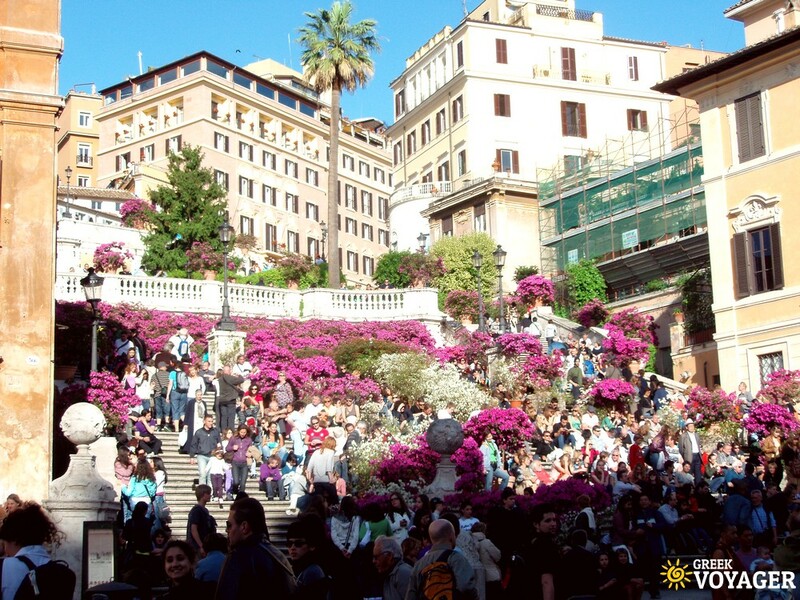 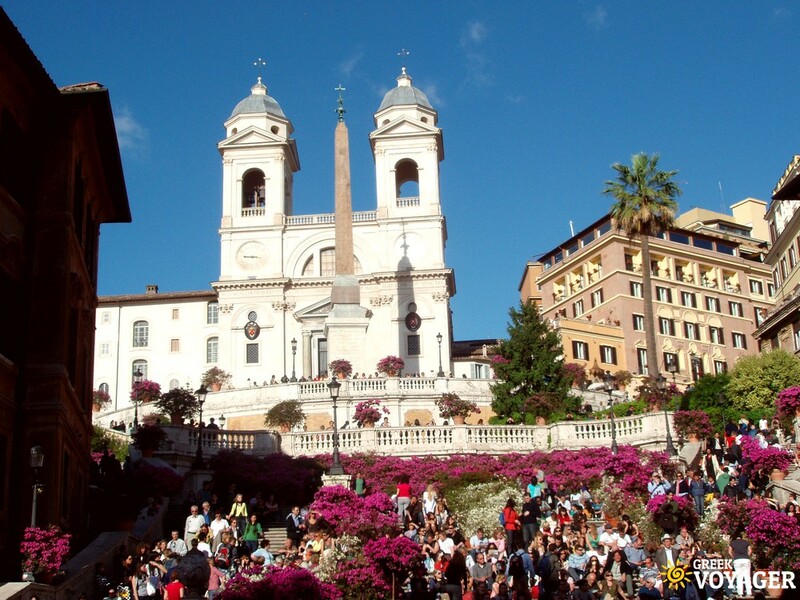 Enjoy the flowers and relax to Spanish steps. 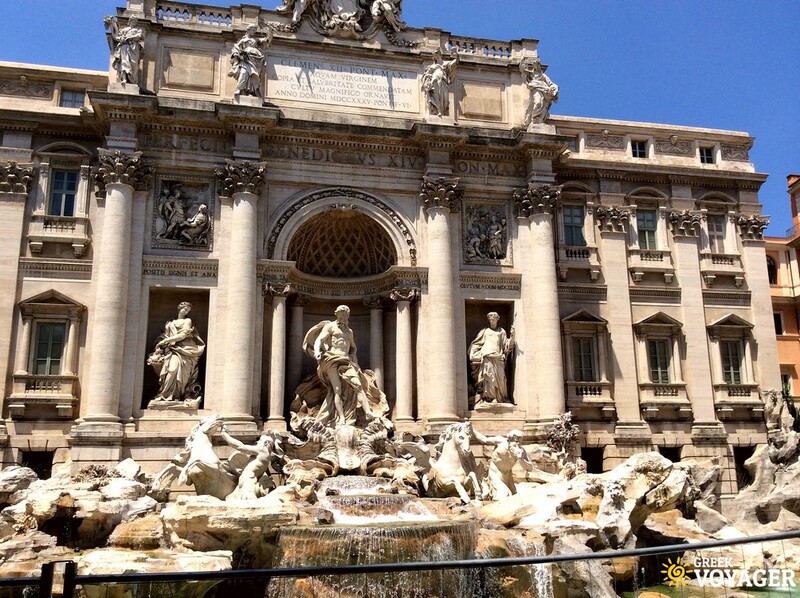 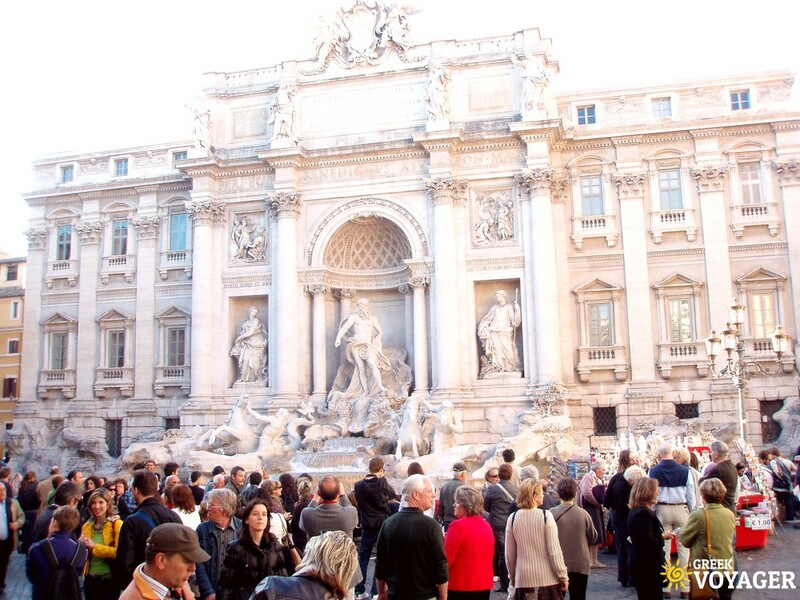 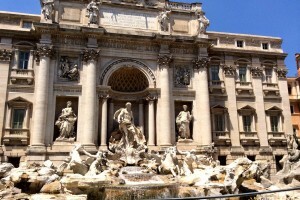 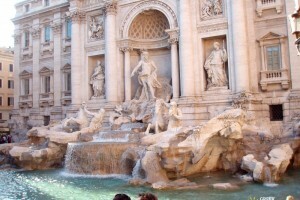 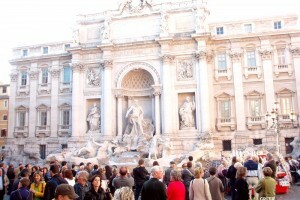 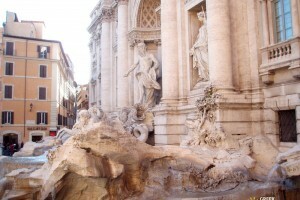 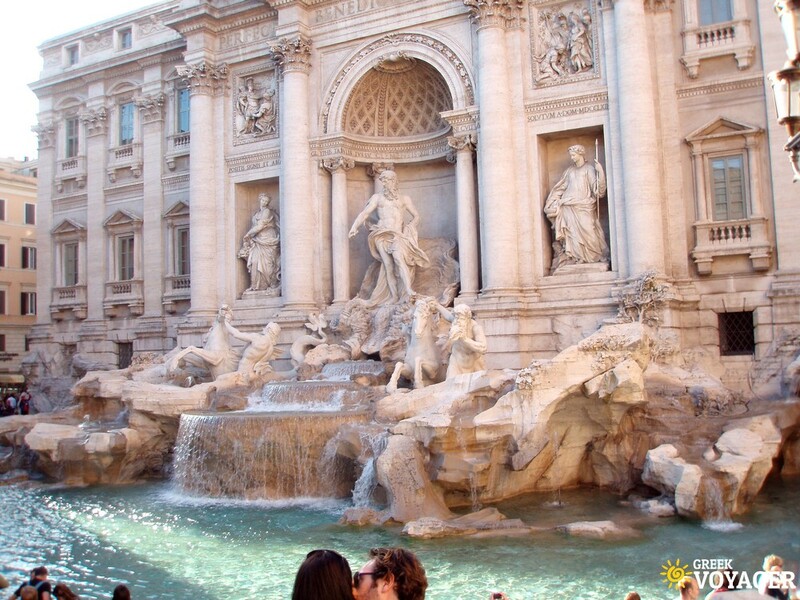 Next stop, the famous Fontana di Trevi. 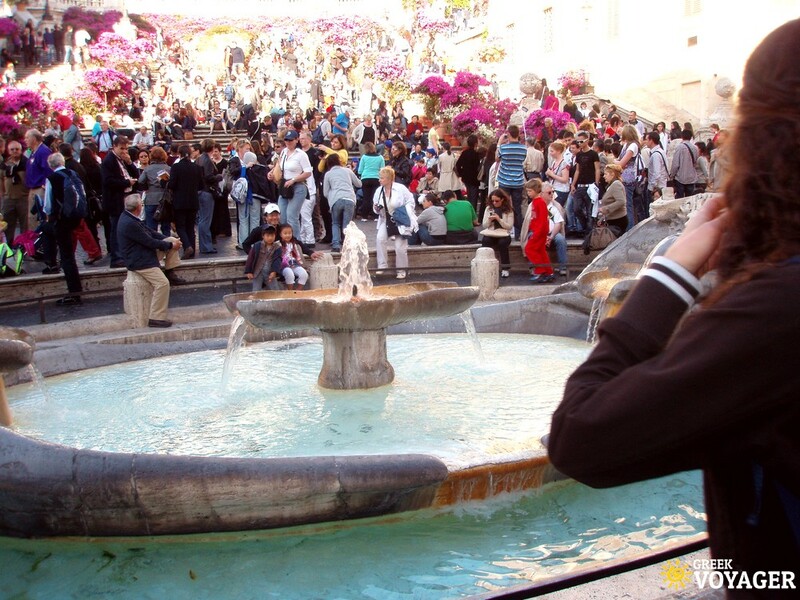 Take as many pictures as you can and don't forget to make a wish when throwing a coin in the fountain. 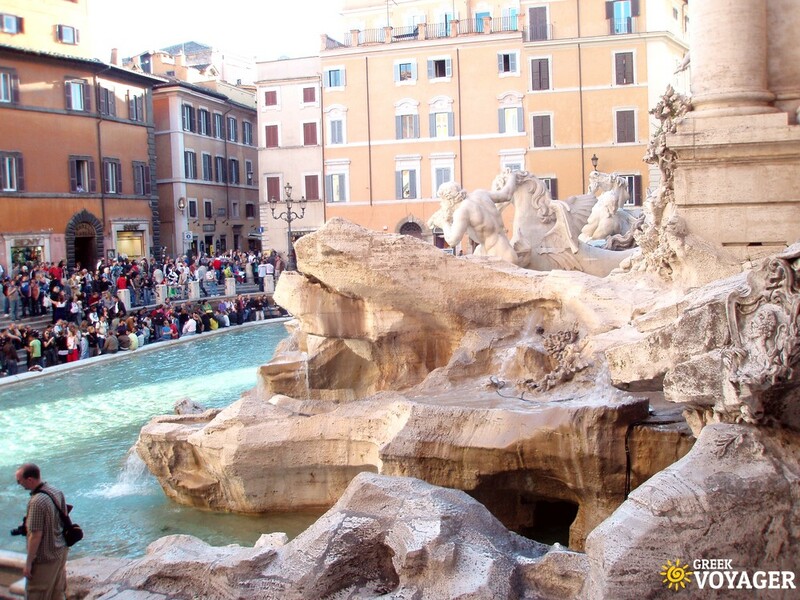 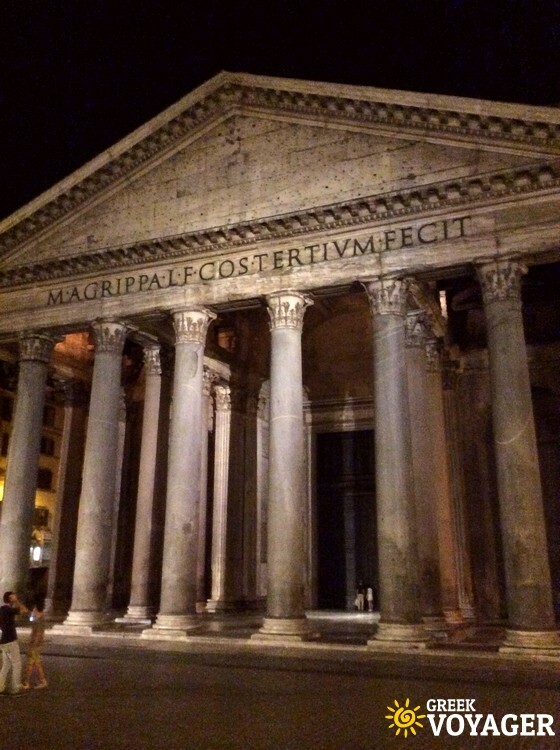 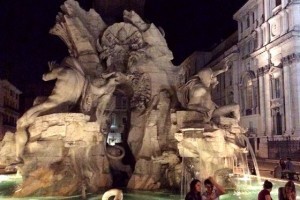 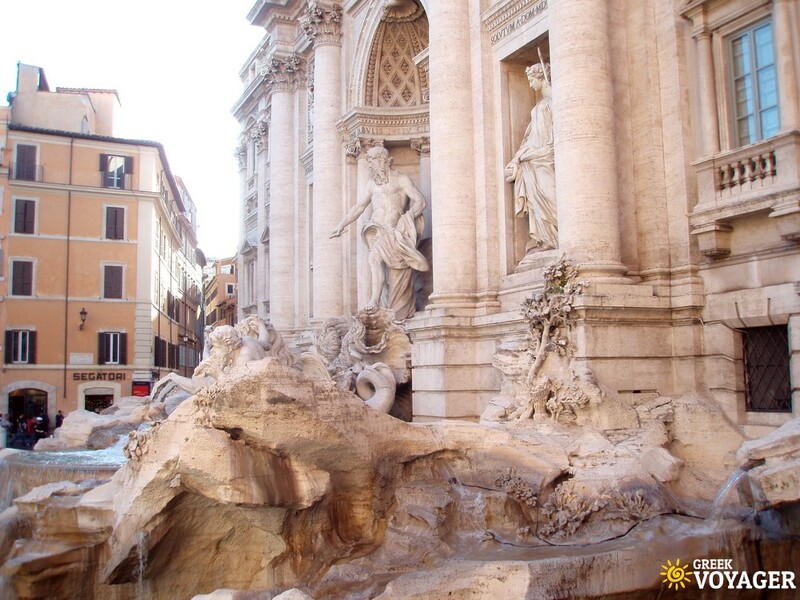 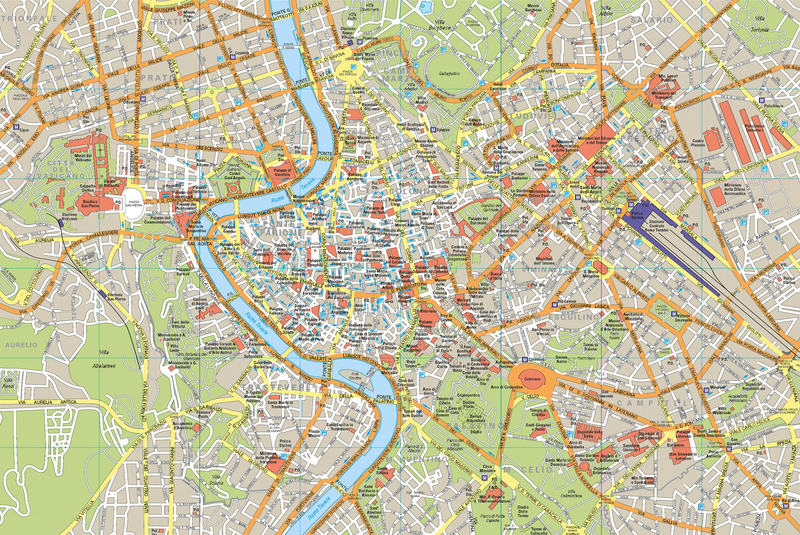 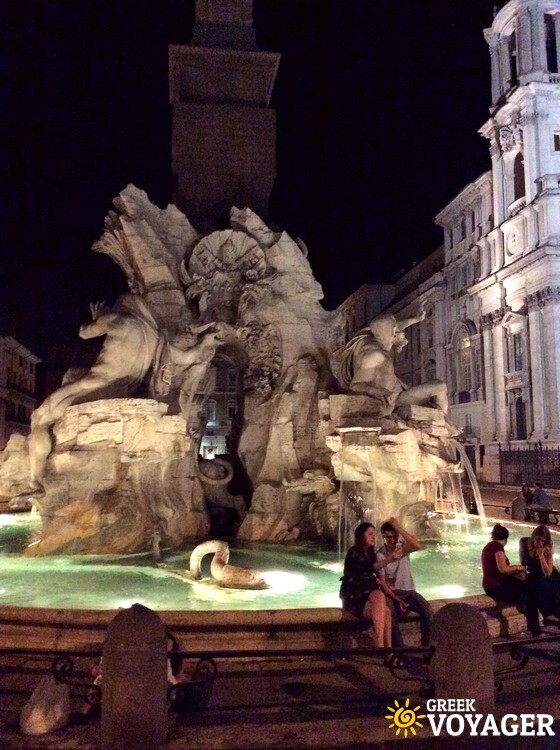 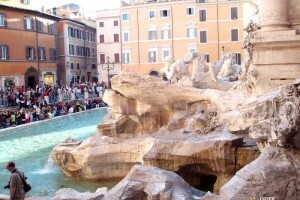 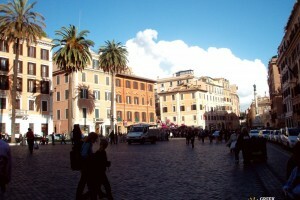 And finally, turn west to visit Pantheon and Piazza Navona with the Fountain of the Four Rivers. 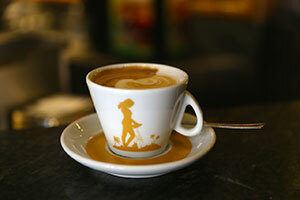 enjoy an espresso. 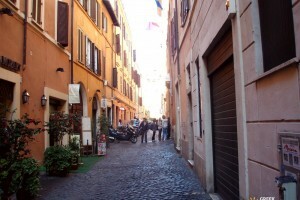 Rome has its own flavor of espresso cafe. 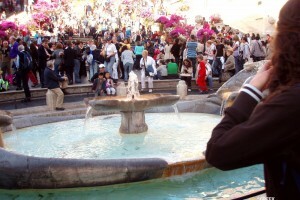 to taste a gelato. 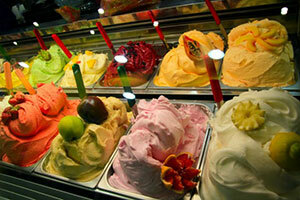 There are over 200 flavors to choose from, dependingon, of course the gelateria.